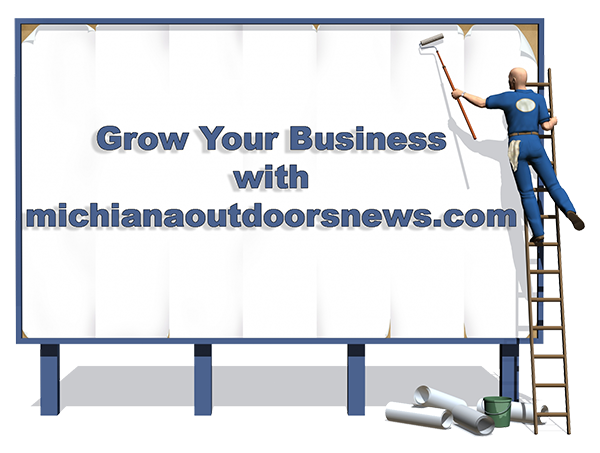 Share you trophy photos with Michiana Outdoors News! Send a photo and a short description to info@louiestout.com. We'll publish your photo so you can share your trophy with all your friends! Click the small images for a larger view. 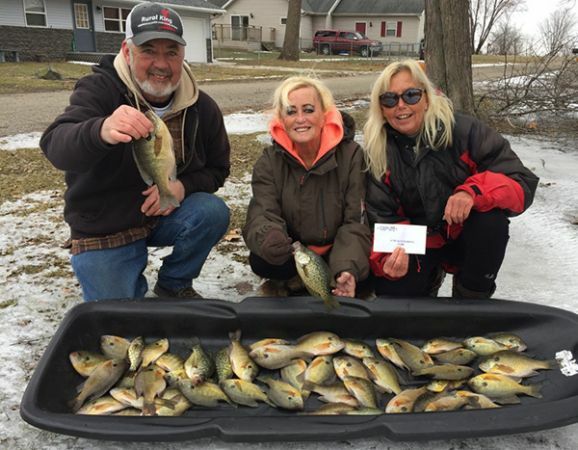 Mike Nemeth, Vicky Rupert and Pam Pal show off their catch during the Bremen Lake of Woods ice derby. 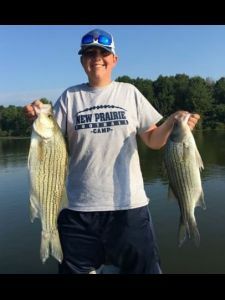 Rupert won the derby with 154 inches while Nemeth finished third with 148 inches of fish. 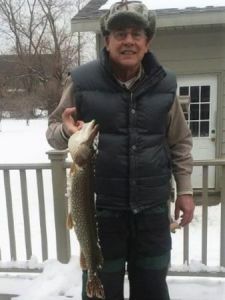 Bob Stutzman caught this 30-inch pike through the ice on 2-pound test line. 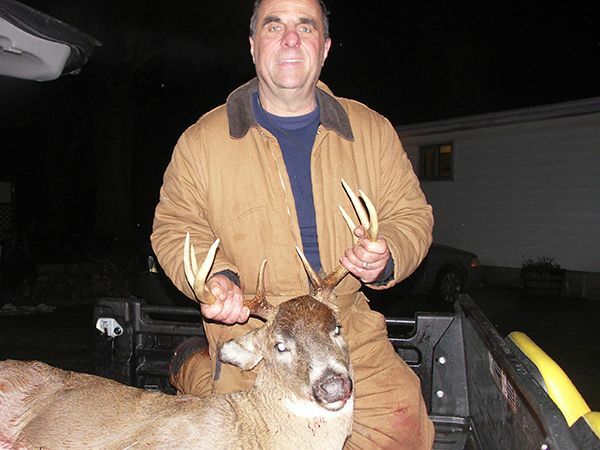 Tom Sibal of Goshen shot this big 8 point with a shotgun in Fulton County. The deer dressed out at 192 pounds. 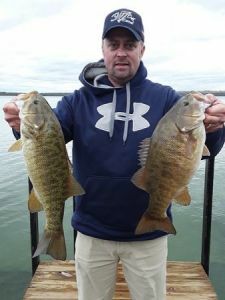 Curtis Lichty, Woodburn, Ind., shows two of several smallmouth caught while fishing around Traverse City, Mich. during a snowstorm in late October. 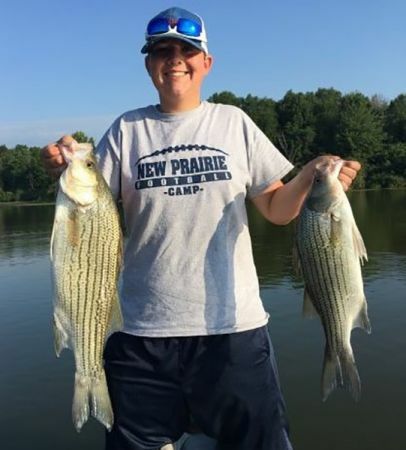 Clayton Lagodney shows off a pair of hybrid striped bass he caught at Potato Creek State Park on buzzbaits! 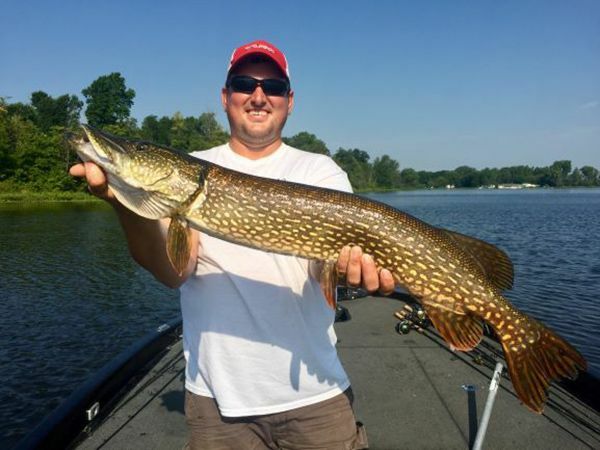 Phil Duracz caught this giant pike while fishing a bass tournament on Juno Lake. 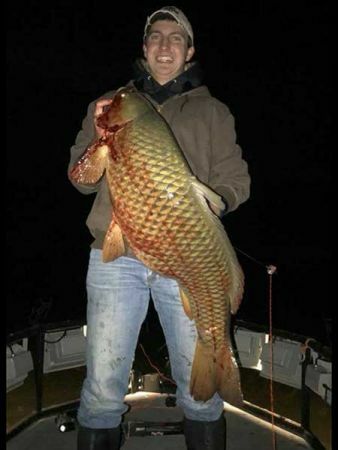 Kalvin Ludwig shot this 50 pound carp with a bow at a Southwest Michigan lake. 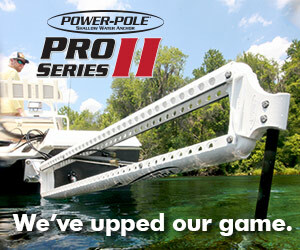 It had a 31.5-inch girth and 39 inch length. Barry Vanslager of Granger, Ind. 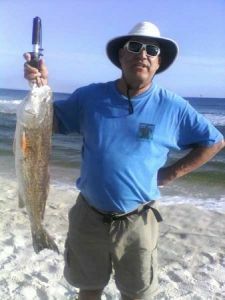 caught several nice red fish and whitings while fishing the gulf at Fort Morgan, Ala. last winter. 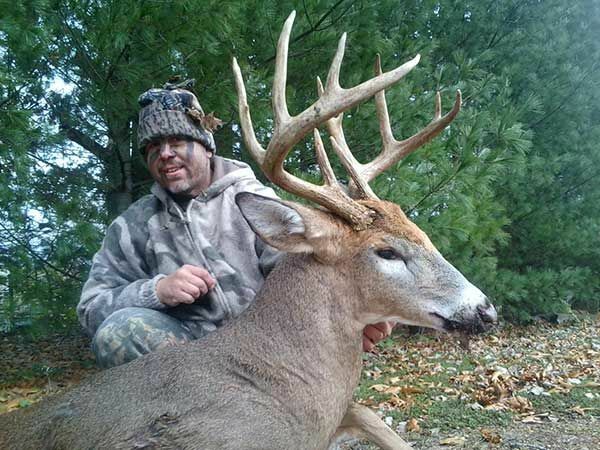 Mike Rowden shot this nice buck near Davison, Mich. last fall. 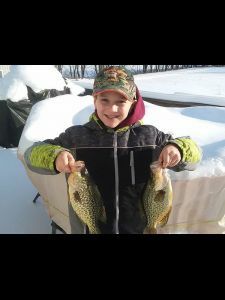 Eleven-year-old Keagan Neal of Hastings, Mich. shows off a pair of 14-inch crappie caught through the ice at Twin Lakes. 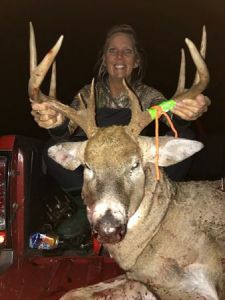 Kathy White of Walkerton with 10 point that was shot with a muzzleloader in Marshall County in 2016. Chuck White Sr. of Walkerton, Ind. 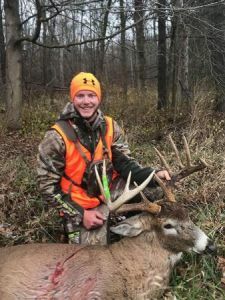 with 10-point that scored 140 and was shot with a muzzleloader in Marshall County in 2016. 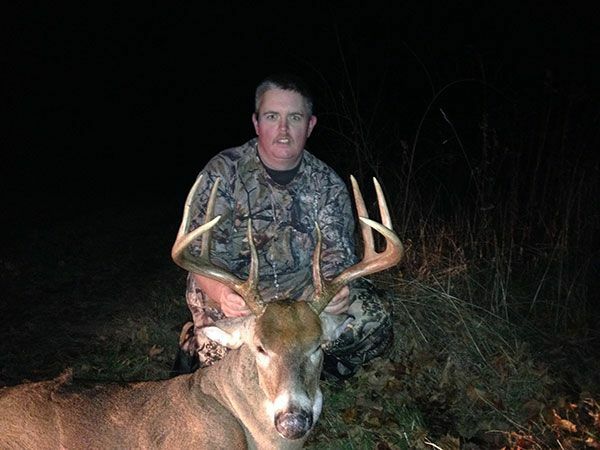 Chuck White, Walkerton, Ind., with 10-point shot in Starke County. The deer scored 133 1/8 (net) to qualify for Pope and Young book. 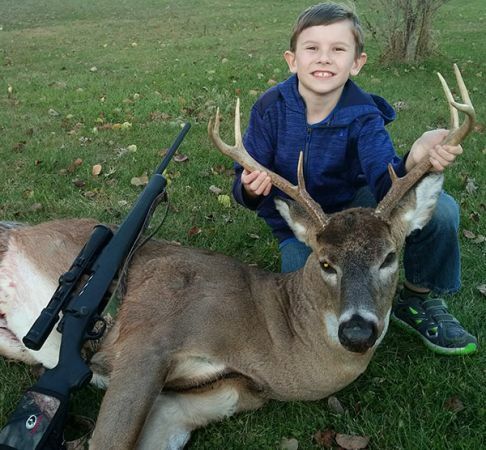 Ten-year-old Tristen White of Walkerton shot this 8-point buck while hunting in Starke County during gun season with a .243 rifle. Jonathon VanDam with 250-pound, 10-pt. 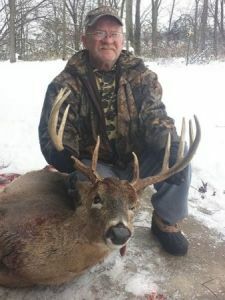 buck shot in Van Buren County, Mich. during gun season. Amy Archer of Niles, Mich. with 8 point taken with crossbow. 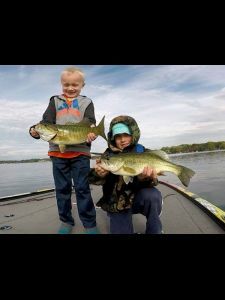 Preston Buss (age 7) shows off a 2-pound largemouth and Jordan Buss (age 6) holds a 3-pound smallmouth caught from Eagle Lake while fishing with father Andy Buss. 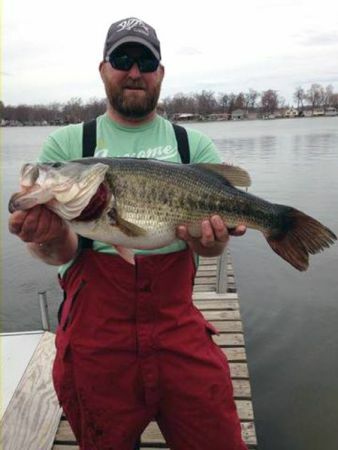 Kenny Shepard caught this 6-2 pig in his club classic from a SW Michigan lake this month. It was his biggest ever! 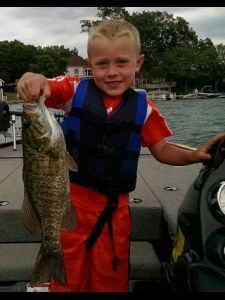 Seven-year-old Preston Buss of North Liberty (son of Andy Buss) shows off his first smallmouth bass catch. It came from Eagle Lake. 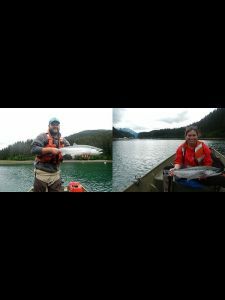 Aaron Breidert, formerly of Saugany, Ind., and his girlfriend, Mallory Johnson, formerly of Hudson Lake, Ind., show off a some sockeye salmon they captured while working for the Tutka Lagoon Hatchery near Homer, Alaska. Breidert’s dad is Indiana Lake Michigan biologist Brian Breidert. 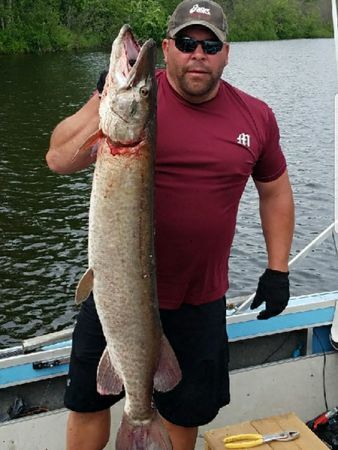 Mike Faulkner caught this 48.5-inch muskie from the Goulais River in Sault Ste. Marie, Ont. this month while fishing alone. He caught it on a No. 107 brown/green Oslo spinner made in Michiana. 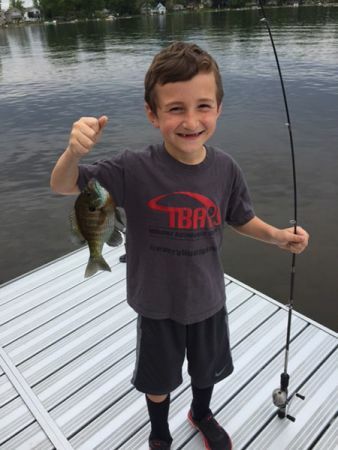 Nine-year-old Gavin Mahlich from Williamston, Mich. shows off a bluegill he caught from Rose Lake in Branch County. 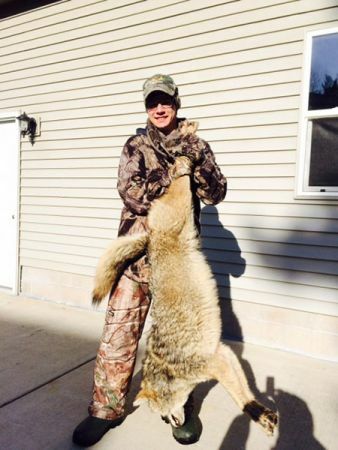 Tyler Westenbarger shot this 55-pound coyote while turkey hunting near Traverse City. 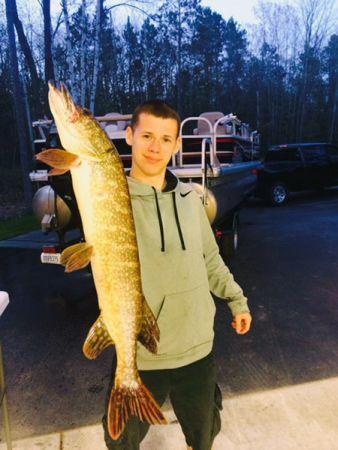 Tyler Westenbarger caught this 9 pound northern pike while fishing near Traverse City. 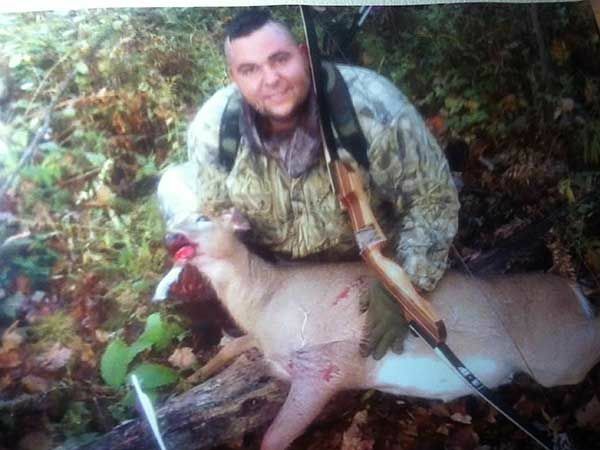 Eric Corbat killed this tom in St. Clair County. 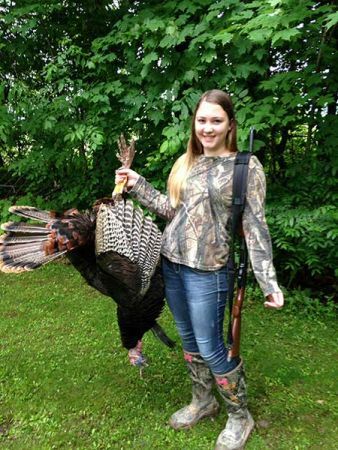 The bird had a 10-inch beard and 1-inch spurs. 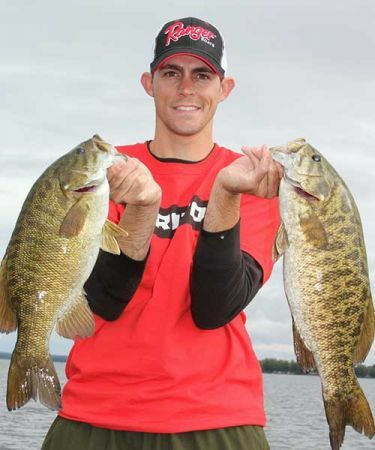 Mark Zona isn’t the only one who can catch smallmouth. 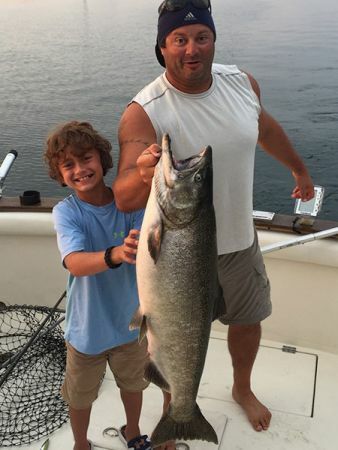 His son, Jakob, caught this dandy off a SW Michigan lake while fishing with his brother, Hunter. Dad was off filming somewhere. How big? He doesn’t know. He released it immediately. 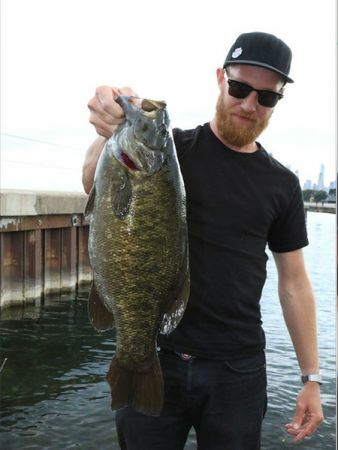 Ryan Whitacre of Chicago caught this smallmouth beast while fishing from shore with a green pumpkin tube in Chicago’s Diversey Harbor. 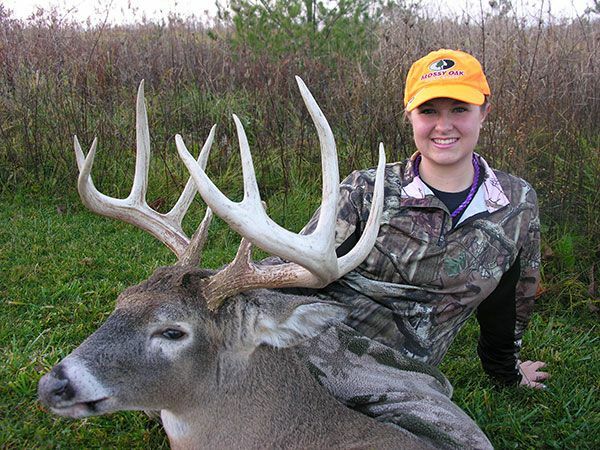 It weighed 6.24 pounds – less than 5 pounces shy of Illinois’ 32-year old record. 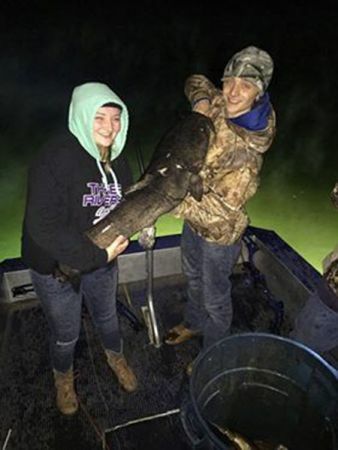 Lindsey and Zack Laden (Edwardsburg) wrestled this 49-inch flathead shot with a bow by Mason Stephenson while bowfishing with Camo Toad Bowfishing Guide. 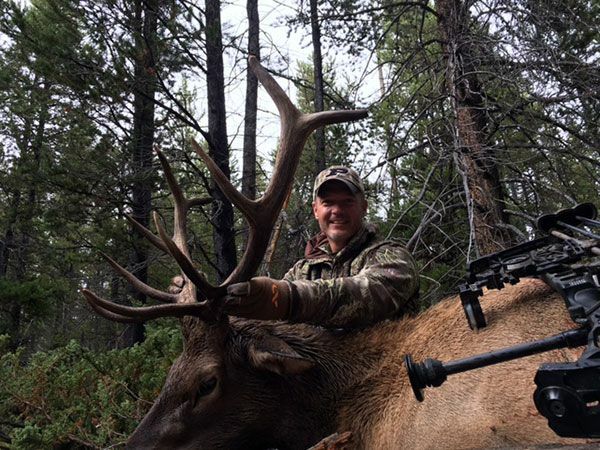 Tom Garries of Granger shot this nice elk while fishing Bighorn Mountains in Wyoming in mid-Sept.
Morgan Frank (age 9) caught this 25-pound king near Michigan City while fishing with his dad, Capt. 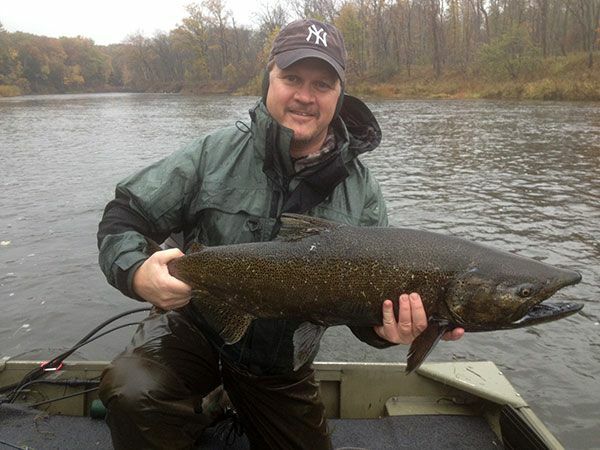 Michael Frank of Dialed-in Charters. 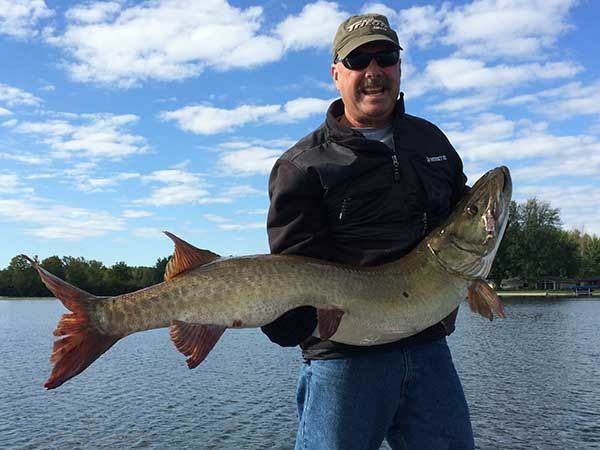 Scott Crocker of Niles caught this 46-inch tiger muskie from the Niles stretch of the St. Joseph River on his homemade swim jig. 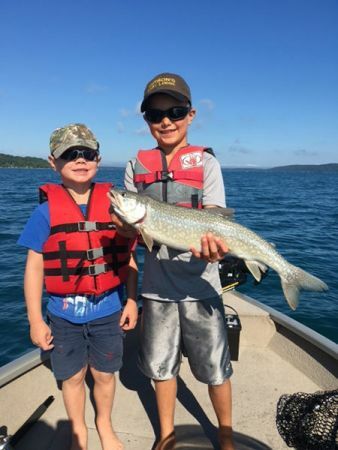 Cousins Cade (Cadillac) and Troy (Frankfort) with a Crystal Lake trout. 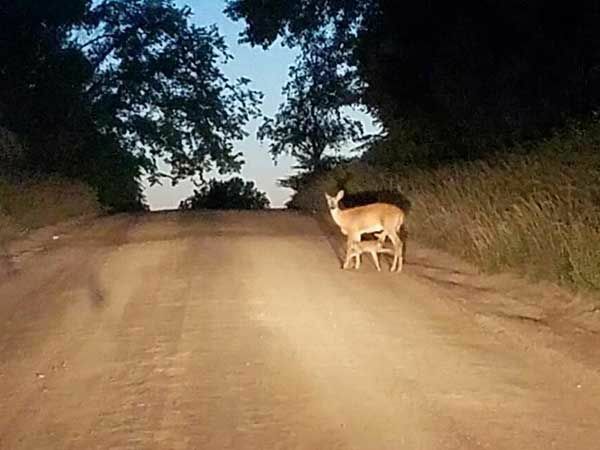 Cole Fedwa of Portland, Mich. snapped this photo of a doe nursing a fawn in the road near a neighbor’s pond. 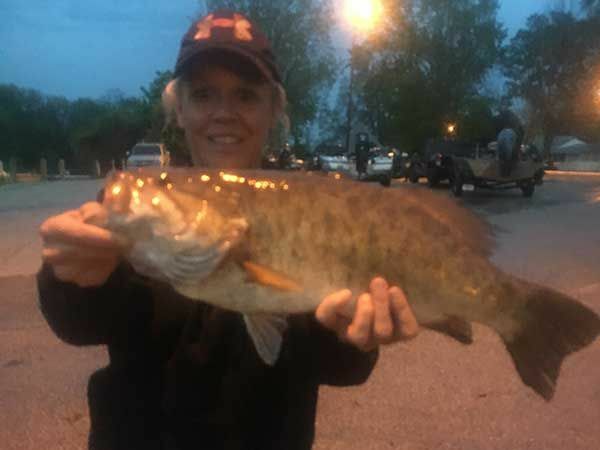 Jami Young won the Wednesday night, St. Joseph River big bass pot with this 4.47-pound smallmouth. 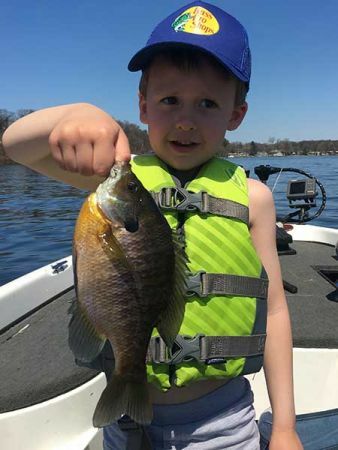 Five-year-old Gabe Lagodney (South Bend) caught this dandy bluegill while fishing with his dad at Pine Lake in LaPorte recently. 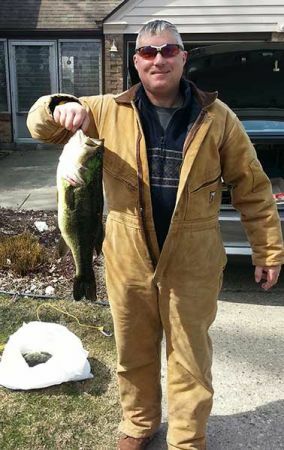 Rick Kedik of Niles, Mich. shows a 5.13 largemouth caught on Diamond Lake with a jerkbait in mid-March. 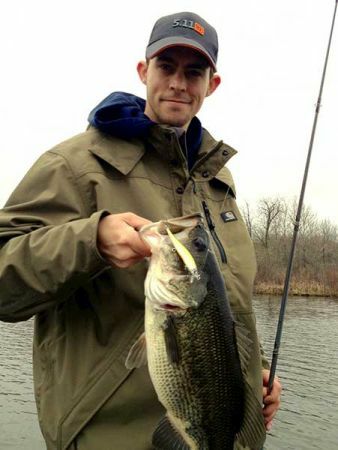 Here is one of the nicest bass I've caught since ice off. She has been bitten by a Pike recently but appears to be okay and should heal up. She hopefully will survive to get even bigger! 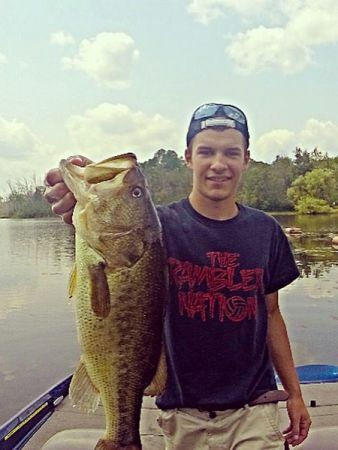 She was caught on a jig fished in about 6 feet of water on a local lake. 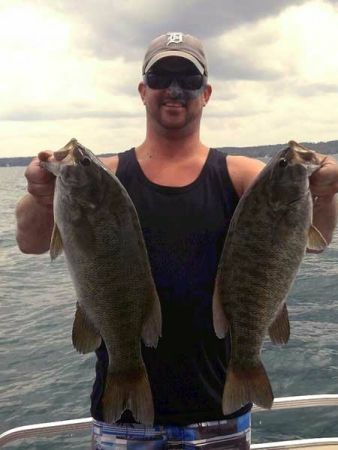 Jeff Kohler caught this smallmouth from Door County, Wi on a Mepps spinner. 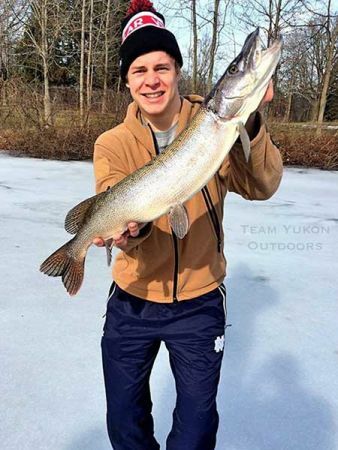 Notre Dame student Bo Brauer with nice pike taken from Pinhook Lagoon in South Bend. Bryan Hanson of Portage, Ind. 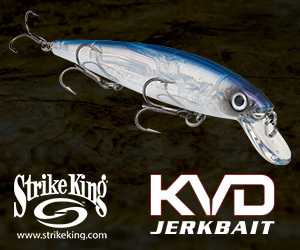 caught this 7-3 largemouth from Potato Creek State Park in November on a Strike King Rage Tail Space Monkey. 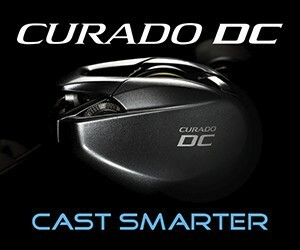 the fish was 22 1/4 inches by 18 inches. 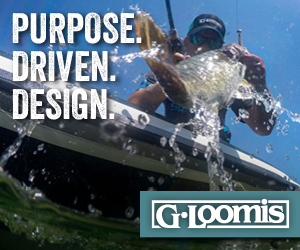 He used a 7-foot G Loomis Mossy Back rod and a KVD baitcaster. Leon Bogucki of Rolling Prairie, Ind. 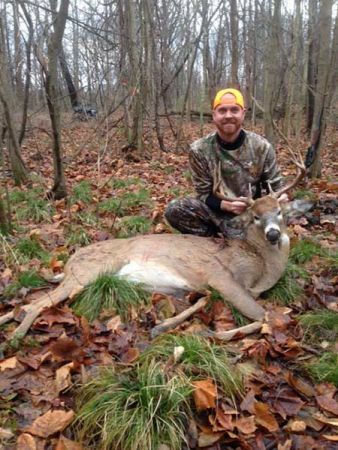 shot this big 10-point opening day in LaPorte County with a shotgun. 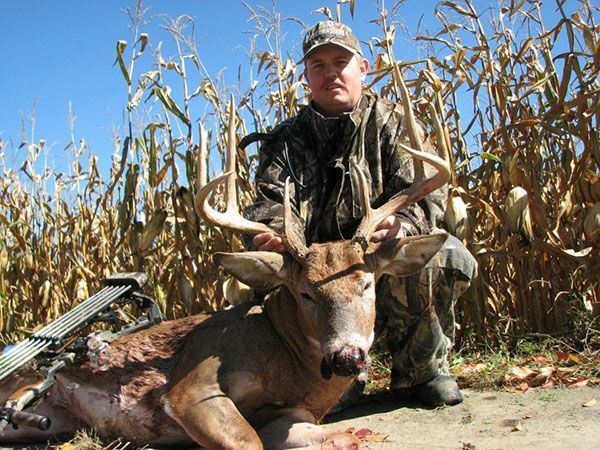 He believes the big buck will score between 160-170. It dressed at 205 pounds. 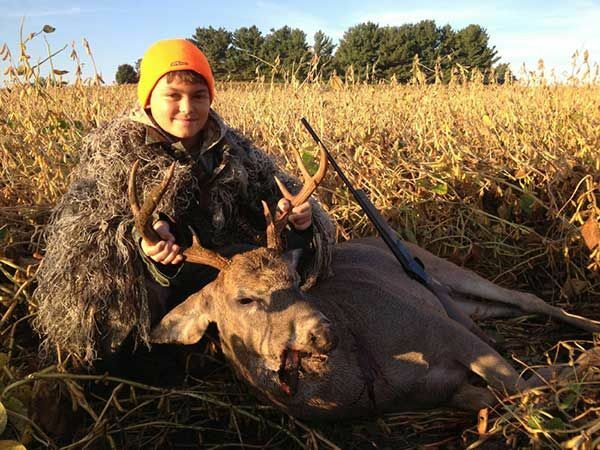 10-year-old Bryce Dittmar of North Liberty, Ind. 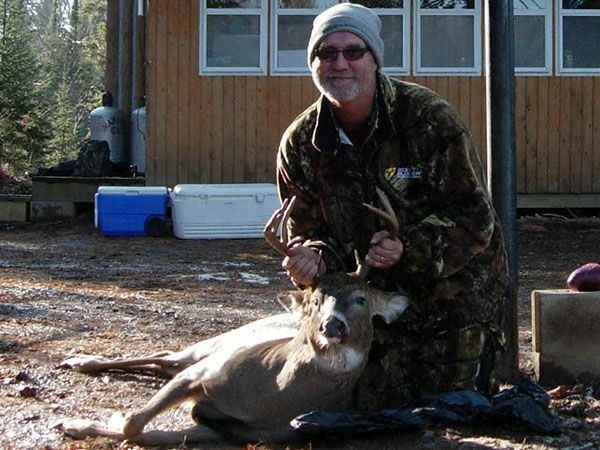 shot this 8 pointer with a .50 cal T/C muzzleloader during gun season. The rack had a 20-inch inside spread. 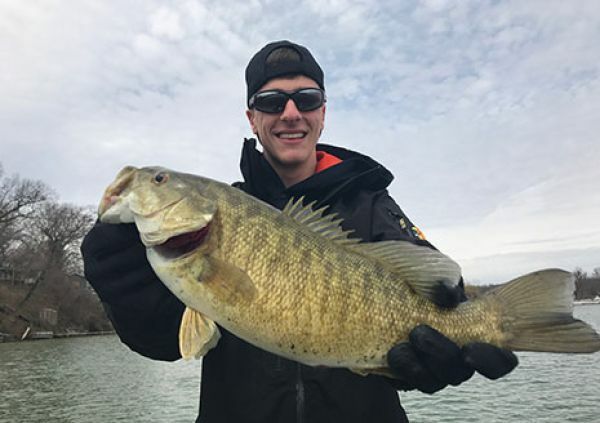 Aaron Divine (South Bend) shows a smallmouth he caught near Chicago while fishing with Bobby Bergren (Munster, Ind), Ralph Steiger (Hammond, Ind.) and John Mazurkiewicz (South Bend). Ralp Steiger of Hammond, Ind. 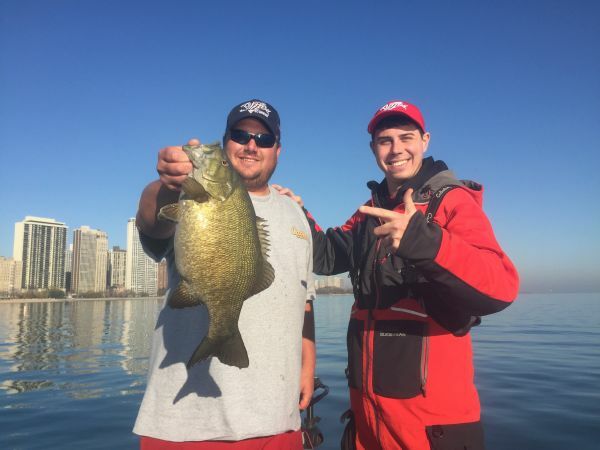 holds a 5 pound smallmouth caught with Bobby Bergren (right) near Chicago. 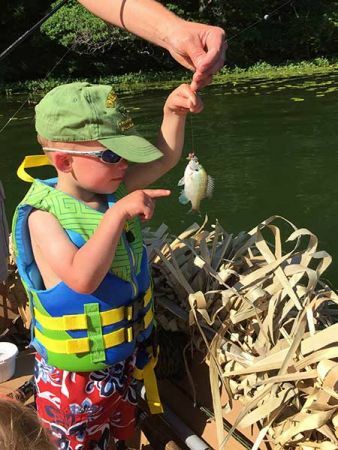 2-year-old Bryce Weesie of Montague, Mich. with his first fish. 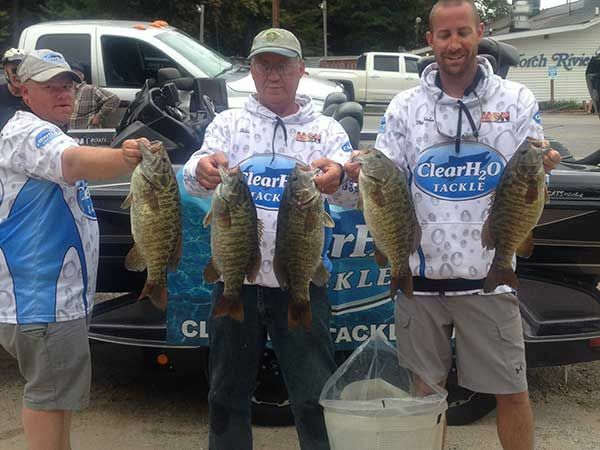 Darinn Schaap and Kevin and Mike Fletcher with a 23-pound limit from Traverse City lakes. 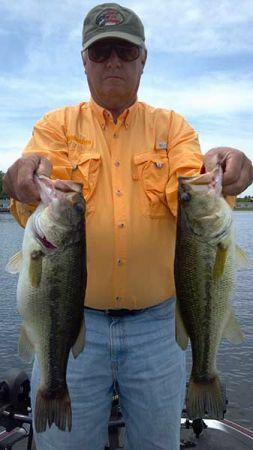 Larry Thomas of Edwardsburg, Mi. 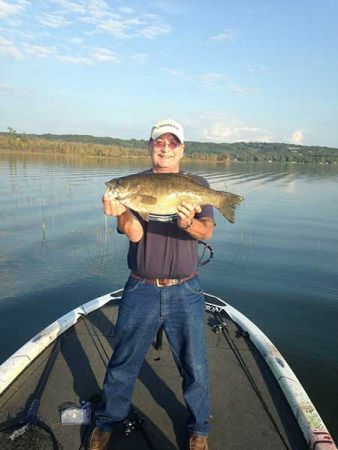 shows off a 6.2-pound smallmouth caught from Traverse City lake. 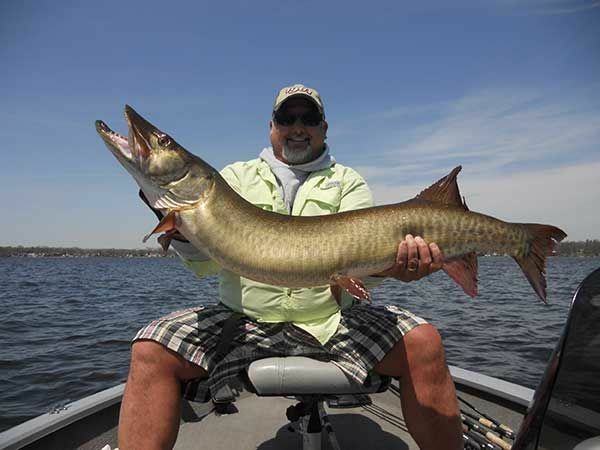 Randy Showalter holds a 51.5 inch muskie he caught from the Barbie Chain, North Webster, Ind. 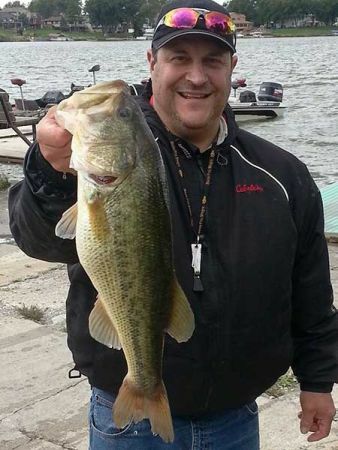 Mike Boisseau caught this bass on a black spinnerbait while fishing Long Lake (Cass county) recently. He estimates the fish close to 6 pounds. 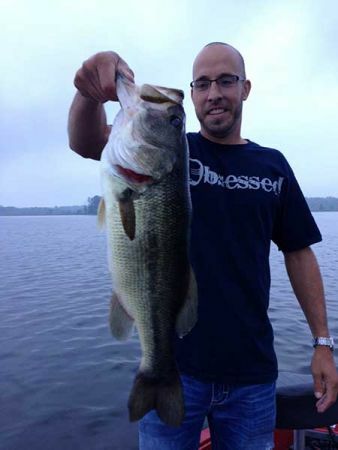 Jesse Ray Anderson of Perry, Mich. with a 7 1/2-pound largemouth from Fletcher’s Pond near Alpena July 4. 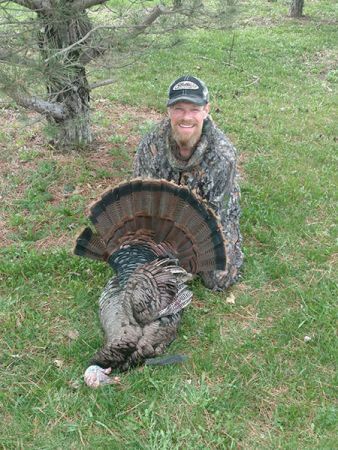 Jason Besinger of Mishawaka shot his first turkey this spring with a 20 gauge shotgun. The bird had a 10-inch beard and weighed 22 pounds. 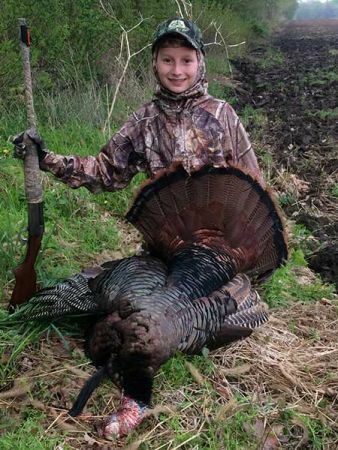 Taylor Lackey, 15, Clarksville, Mich. harvested this nice 25-pound, double-bearded tom on her grandpa's Eaton County farm. 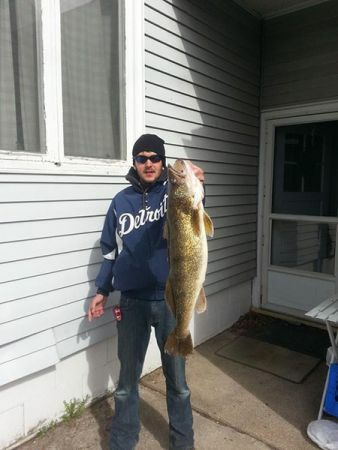 Joel Gorenflo of St. Joseph, Mich. caught the 28-inch walleye from Lake Michigan this spring. 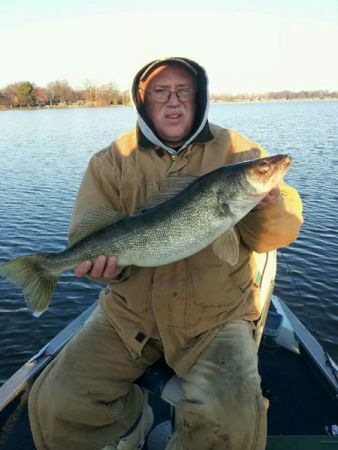 Mike Boisseau (South Bend) shows off a 9.80-pound walleye he caught from Lake of the Woods near Bremen on a Heddon Sonar in December, 2011. Al Tarchala (Plymouth, IN.) shot this bearded hen with a bow this spring. The hen had a 6-inch beard! 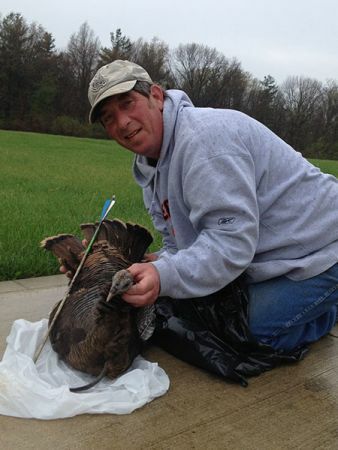 Dave Tafelski of Granger shot this 26-pound wild turkey Friday with a 12-gauge shotgun while hunting near Plymouth. 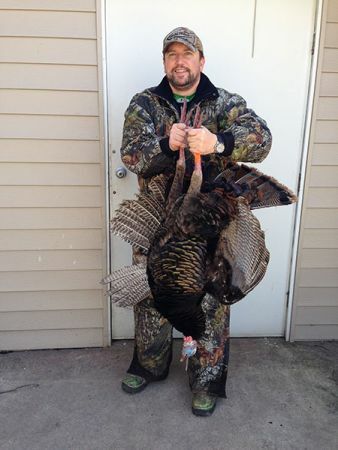 The gobbler had an 11-inch beard and 3/4-inch spurs. 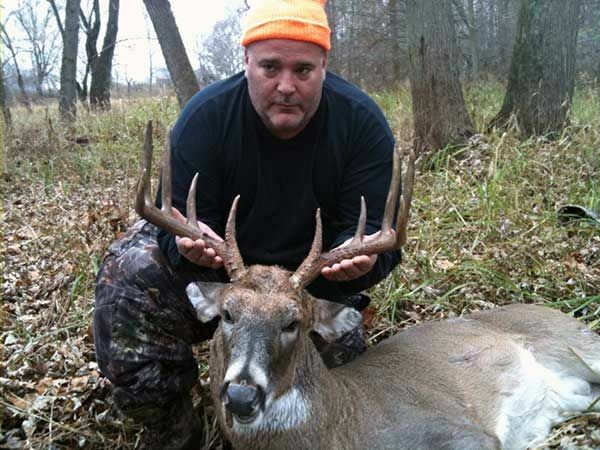 Dan Linn shot this buck in October, 2012. It dressed at 197 pounds. 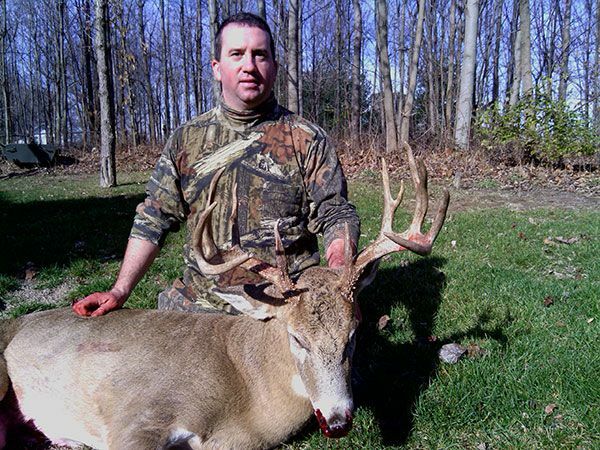 Dan Linn shot this buck in northern Indiana during November, 2012. It green scored 141 2/8. 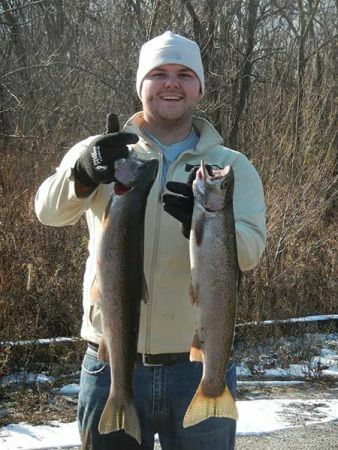 Clint Marler of Hobart, Ind. 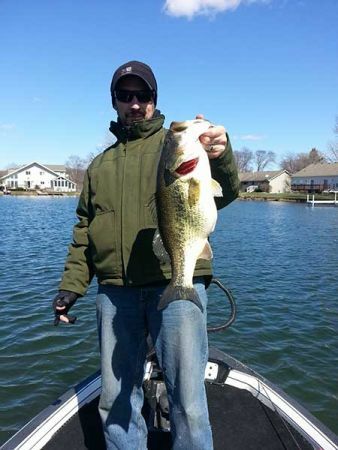 caught this 8.16 pounder from Koontz Lake, Ind. 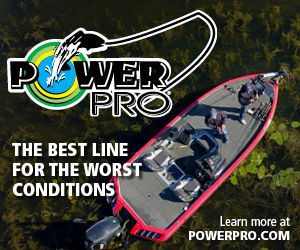 on a lipless crankbait during a Fish Lake Bassmasters tourney. He won with 16.50 pounds. Lloyd Brubaker of Elkhart caught this 34-inch pike from the Elkhart river. 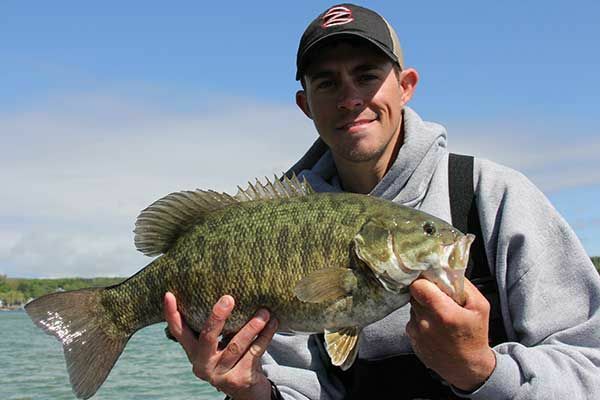 Texx Holmes of Niles shows off a nice smallmouth caught from a southwest Michigan lake last April. 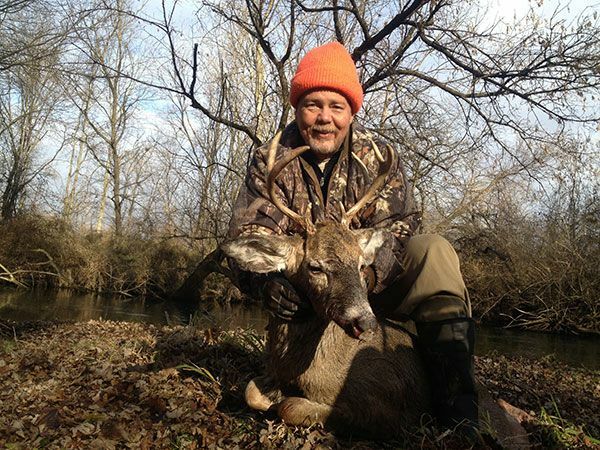 Skip Freeman shot this 9 point during Indiana firearms season on private property in Osceola, Ind. The buck field dressed at 200 pounds. 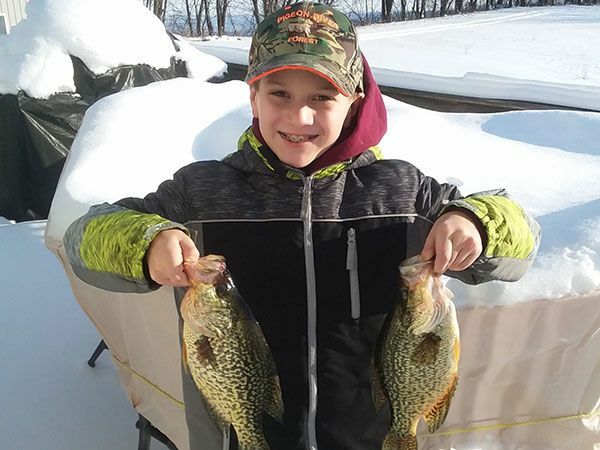 Cyle Milewski of Osceola, Ind. shot this nice 8 point in St. Joseph County on the last day of gun season. The buck dressed out at 163. 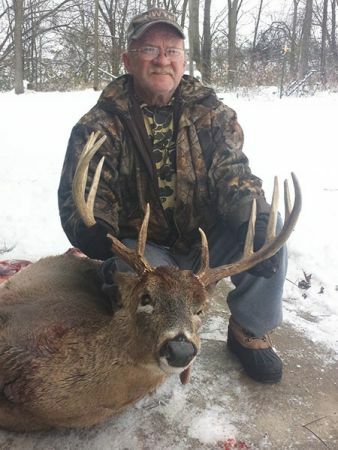 Tom Garries of Granger, In. 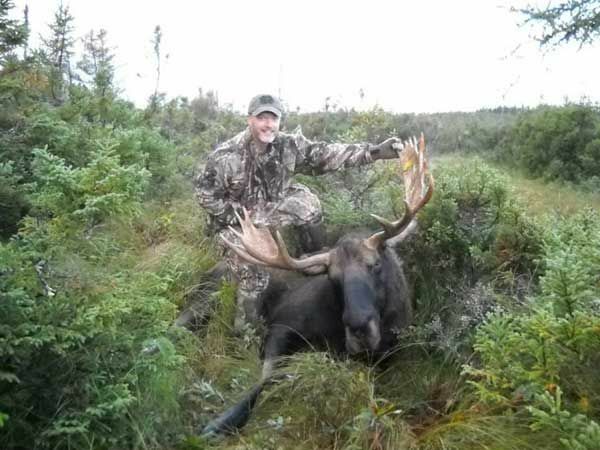 shot this 18-point moose with a Savage 300 win mag while hunting in Newfoundland. The brute field dressed at 1,200 pounds. 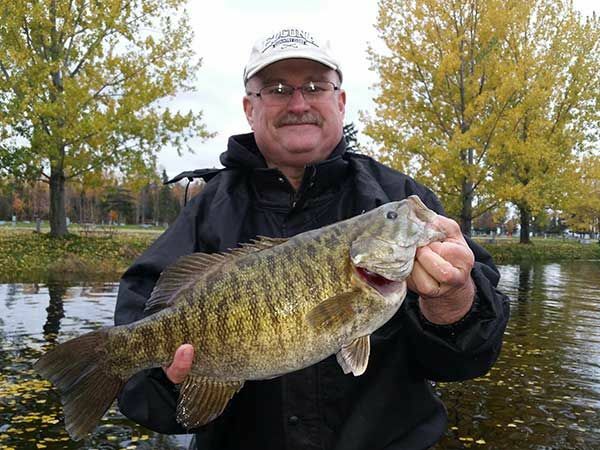 Paul Gleissner caught this 5.1-pound smallmouth on a northern Michigan lake in October on a brown craw tube with a rattling jighead. 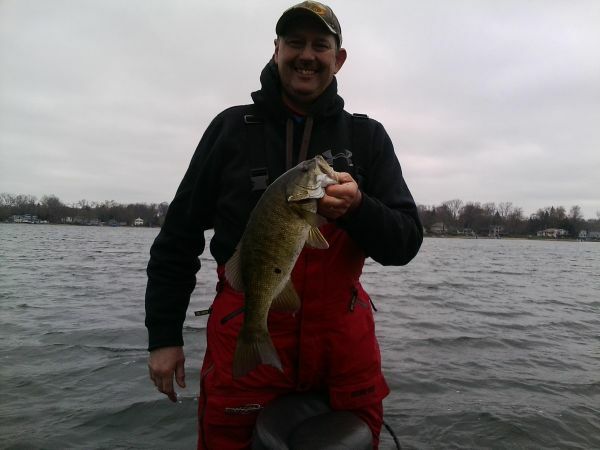 Jay Meyers with a 5.5-pound smallmouth and a 4.5 largemouth caught from Gull Lake in early winter. 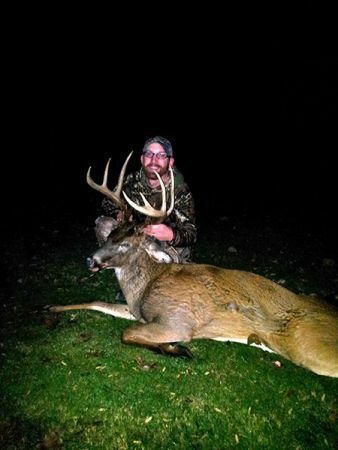 Dennis Ignowski shot this 11 pointer Nov. 7 with a bow on public land in SW Michigan. It dressed at 190 pounds. 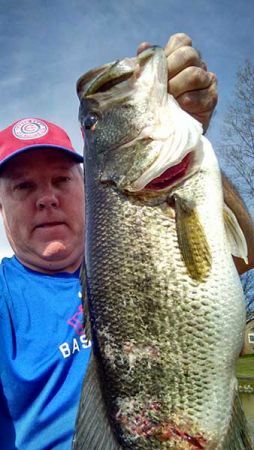 Joe Denardo caught this 6.5-pound bass on a Rat-L Trap from northern Indiana’s Lake Holiday. 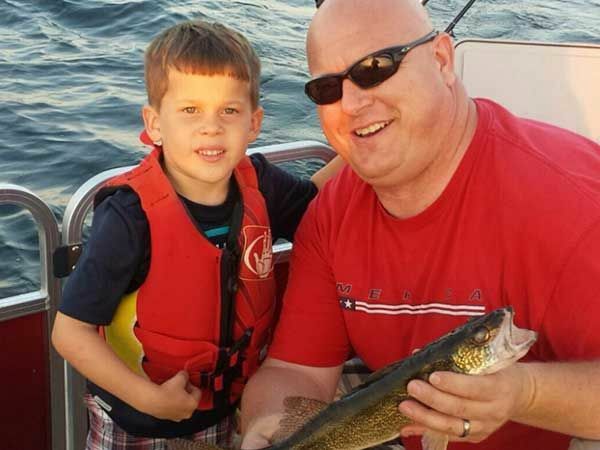 Parker DeGroot of Gaylord, Mich. shows off his first walleye caught with dad Bill on Burt Lake. 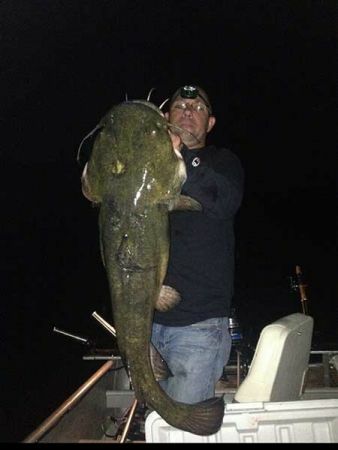 Mike Jones caught this monster catfish from the St. Joseph River in Buchanan on cut bait. It wasn’t weighed, as he released it after the photo session. John Warren Jr. (Bay City, Mi.) with first traditional archery kill. 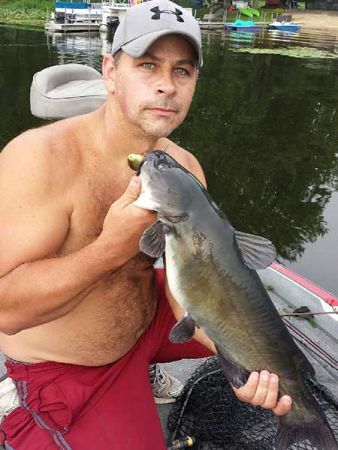 Chuck Powell of Osceola caught this big cat on a C-Flash crankbait from Pipestone Lake. The fish was estimated between 8-10 pounds. 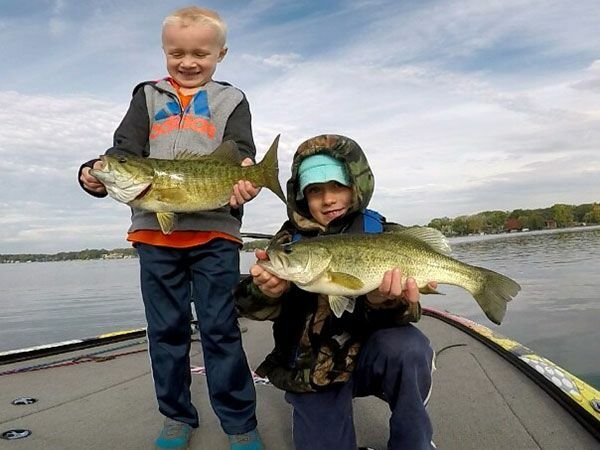 Steve Lopez with 29.5 inch walleye from Cass Lake, Minn.
Reece Frederick with limit of big ‘gills from Cass Lake, Minn.
Tom Bell caught these two bass (5.66 and 4.72) from Waldron Lake recently on a Red Eye Shad. He’s posing with Mark Fennell. 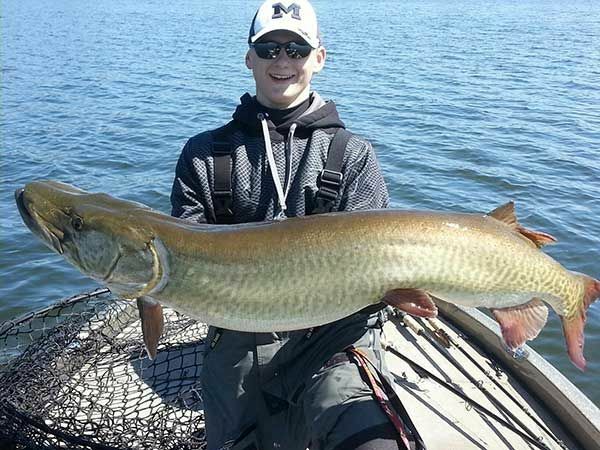 Thomas Schultheis (Mishawaka) caught this 46 1/2”, 24.14-pound muskie on Webster Lake, Ind. 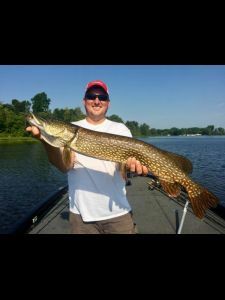 while fishing with guide Bryan Pierkarski. 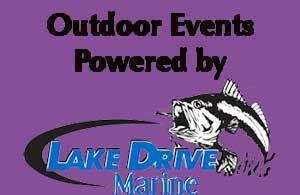 John Leader fished alone and won the River Wednesday season opener with 9 pounds, including big bass that weighed 4.8 pounds. 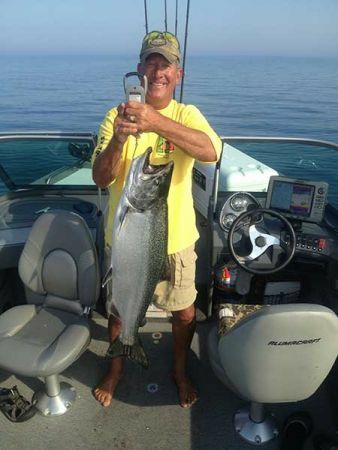 Don Kryder caught this 25-8 chinook in St. Joe, Mich. in July, 2013. 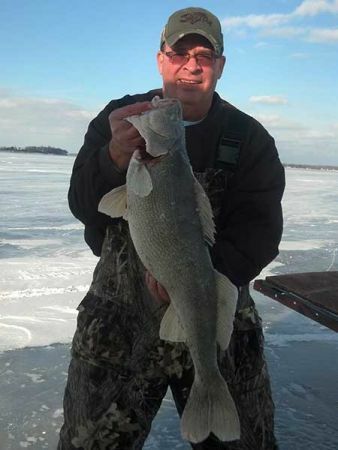 Tim Cira (Granger) caught this 32”, 13.9-pound walleye on a Swedish Pimple through the Lake Erie ice. 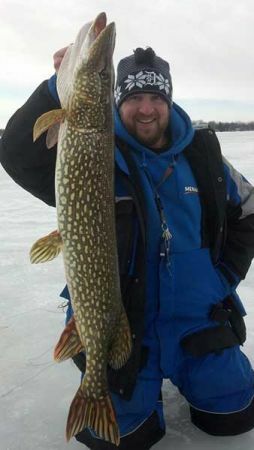 Marshall Olsen, Plymouth, with 39.5-inch pike from Plymouth area lake. 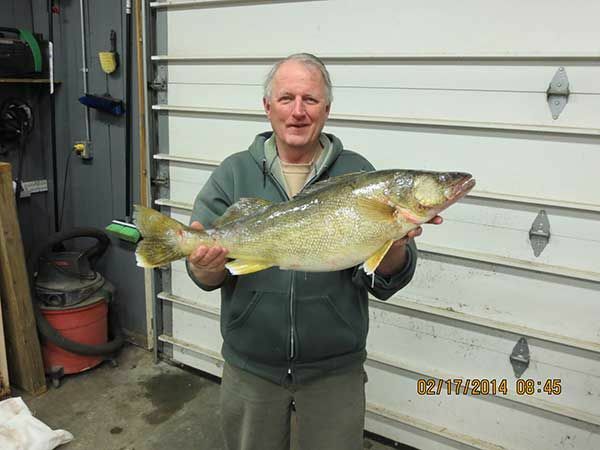 Indiana District biologist Neil Ledet caught this 13 pound walleye while fishing through the ice on Lake Erie, where his crew caught several others between 6-7 pounds. 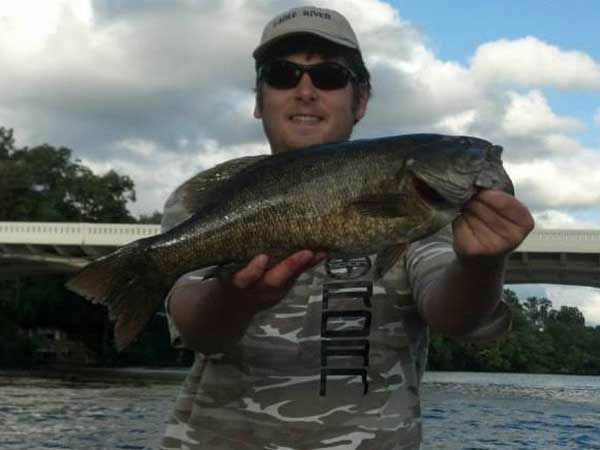 Mark Bisig caught this 20-inch smallmouth from the St. Joe River near Logan Street in Mishawaka last summer. 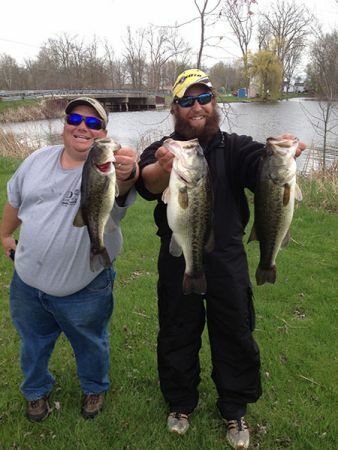 John Mazurkiewcz and JVD pose with big bass caught in 20-degree weather from an Alabama lake. 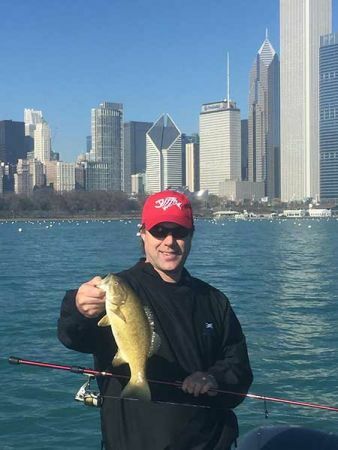 JVD’s fish was a 9+! 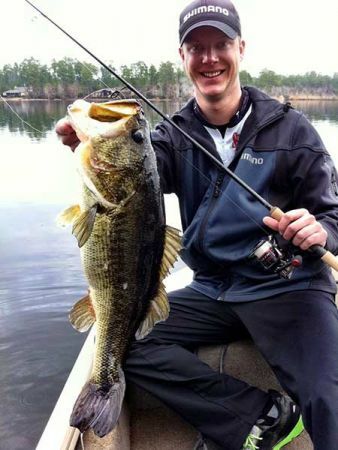 Jonathon VanDam caught this 9 pounder with a drop-shot rig on a private lake in southern Alabama during a Shimano reel writer event. 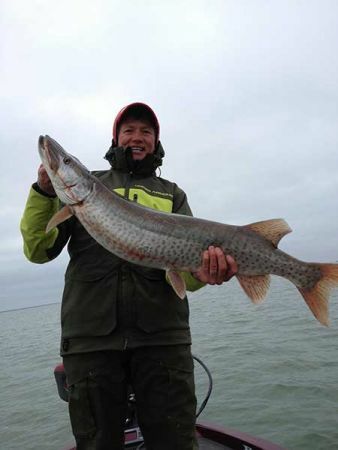 He was fishing with a new IMX802JWR Loomis rod and Stradic CI4 spinning reel. 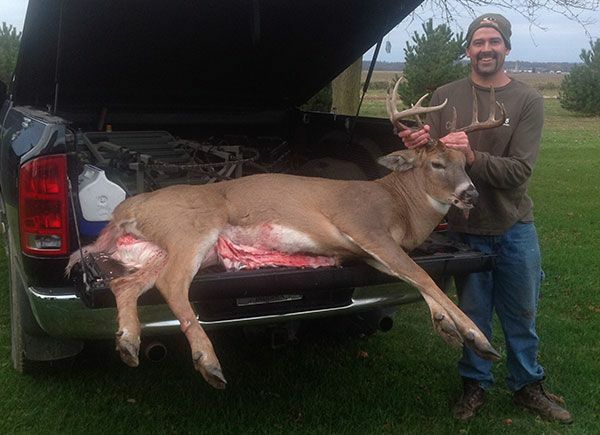 Scott Soderberg of Granger shot this nice buck on private land near Winamac, Ind. 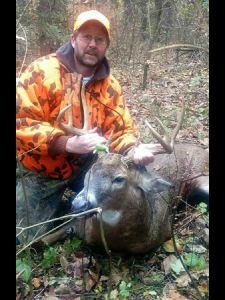 on opening day with a muzzleloader. 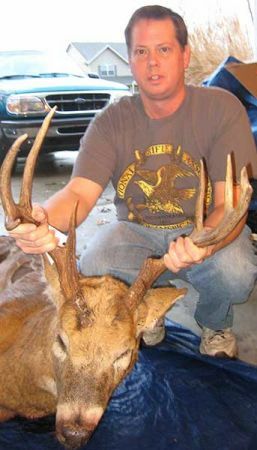 The 8 pointer dressed over 200 pounds. 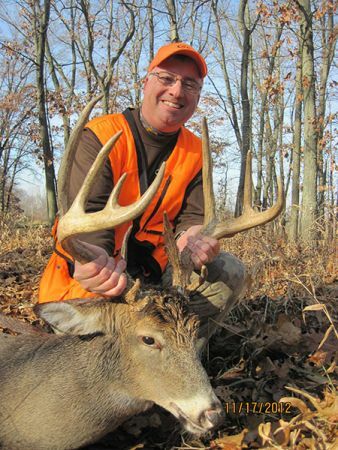 Bill Toth of Granger shot this 11-pointer on opening day in St. Joseph County, Ind. It field dressed at 179 pounds. Sy Ignowski took this hefty buck with a crossbow near Niles. The 6-pointer field dressed at 240 pounds! 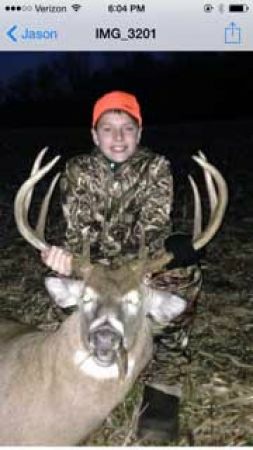 Tanner Hursh of Edwardsburg bagged this eight point on his 10th birthday in early November. 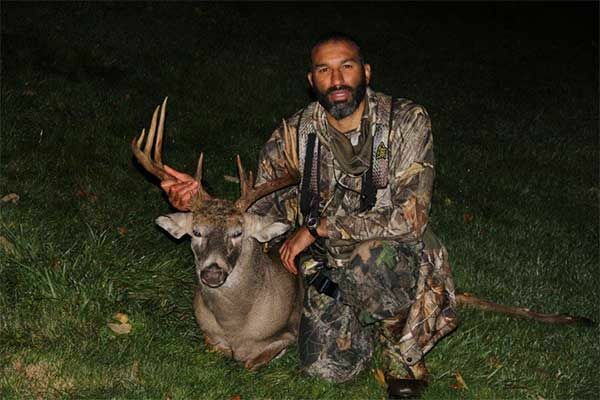 Dawood Yasin of California shot this 15-point buck with a bow in LaPorte County, Ind. 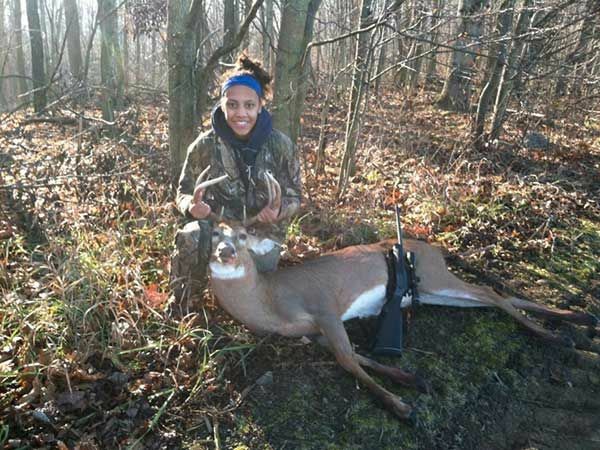 Northridge High Jr. Kira Stout shot this 8 pointer in Miami County with a .44 Mag Rifle last season. Chuck Powell of Osceola with trapped coyote. Tanner Magyar (Elkhart) shot his first buck, an 8 pointer, recently while hunting in Cass County, Mich.
Matt Beebe shot this 11 pointer near South Bend and 100 yards from where his son took a 9 pointer two weeks ago. 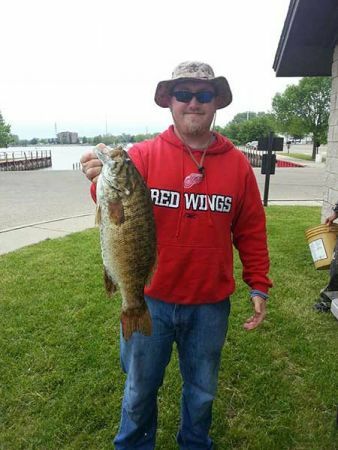 Eric Neuhauser of Kokomo with a 21-inch smallie caught from the St. Joe at 6 Span. 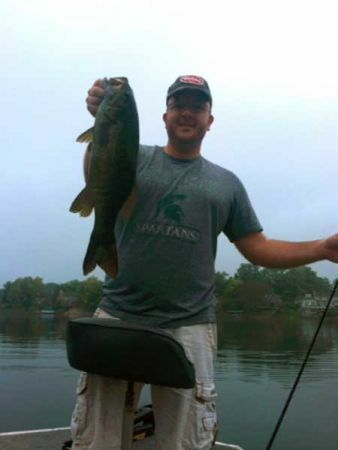 Scott Carpenter of Kokomo with a nice smallmouth caught from the St. Joe at 6 Span. 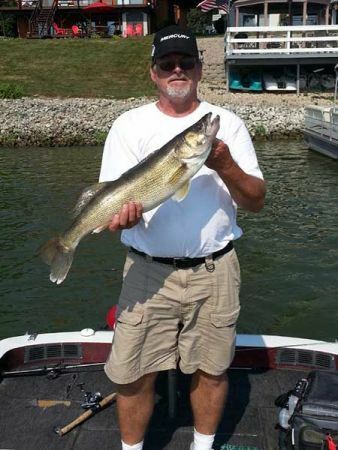 Rick Pounder of Michigan City caught this 9 pound walleye on a Max Jig from Lake Holiday. 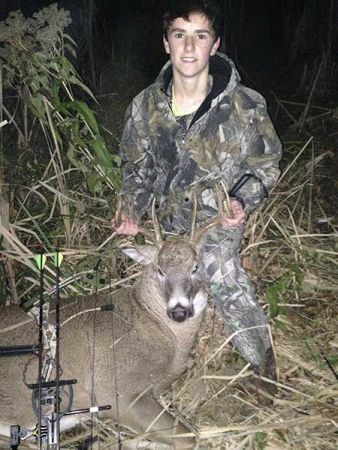 12-year-old Jacob Beebe (LaSalle Academy) dropped this 9-point, 250 pounder while hunting south of South Bend, In. on opening youth day with a .410. 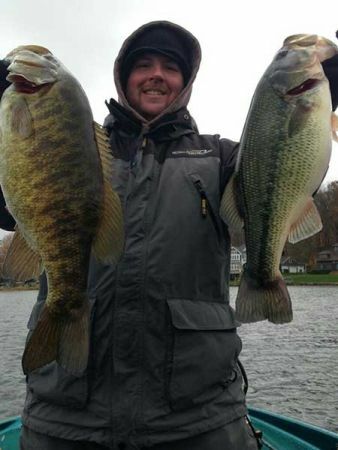 Jeremy Bunnell of Mishawaka with a pair of northern smallies taken on drop shot rigs. 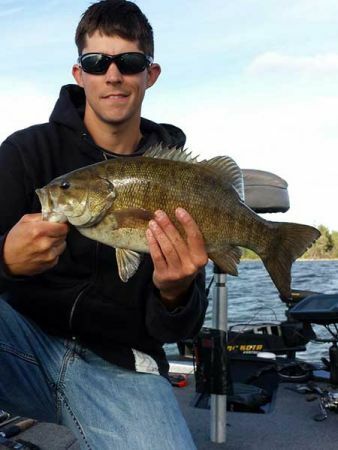 Jeremy Bunnell of Mishawaka with a northern Michigan smallmouth beauty. Jeremy Bunnell (Mishawaka) and Al Tucker (Zionsville, Ind.) 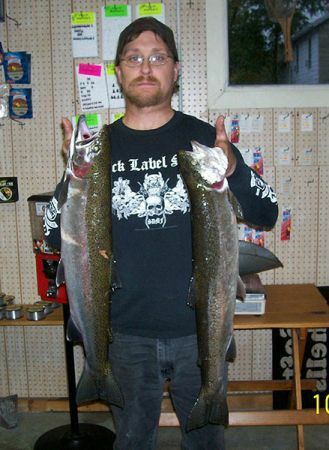 with a couple of northern Michigan dandies taken in the fall. 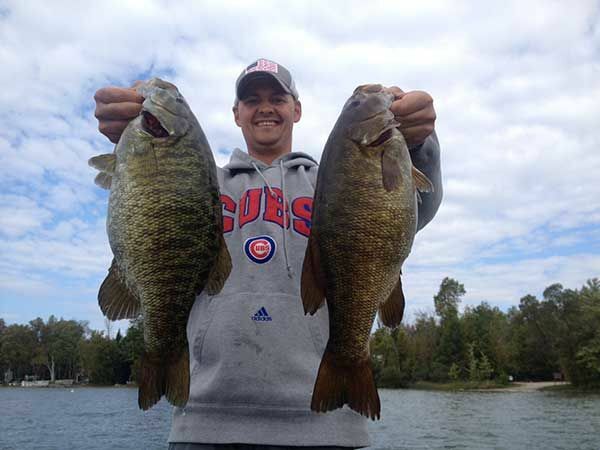 Scott Stopher of Kalamazoo with two 5-pound-plus smallies from Lake Charlevoix. Casey Binder (Mishawaka, In.) 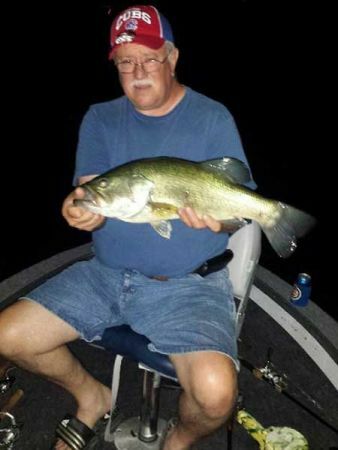 nailed this 5.80 bass from Juno Chain on a Pop R.
Erik Horner (Lakeville, In. 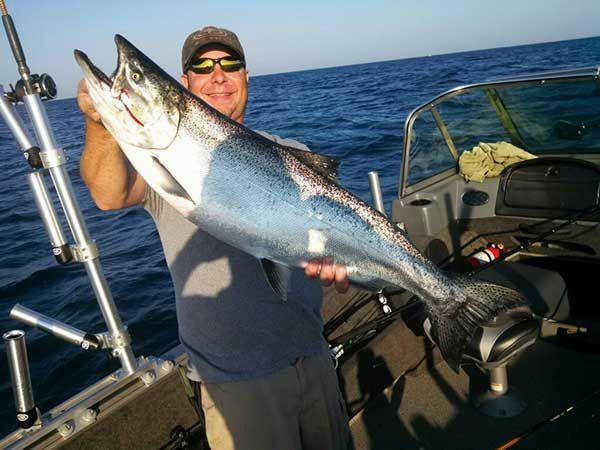 ), caught this giant king near the St. Joseph, Mi. pier. 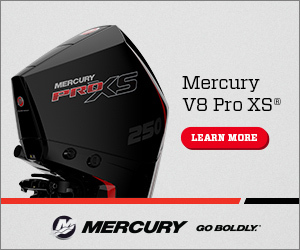 It was filleted – not weighed – but estimated at 25 pounds. 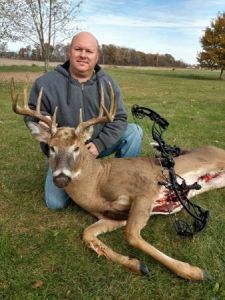 Jeff Neff of Valparaiso, Ind. 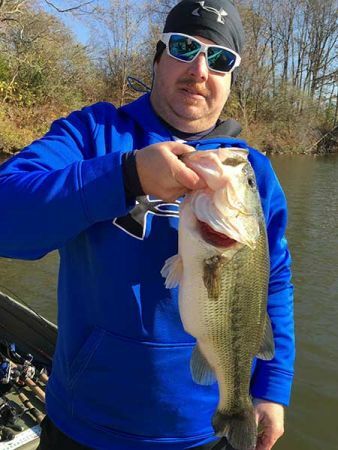 caught this 7.38 bass on a Max Jig from potato creek state park during a tournament. 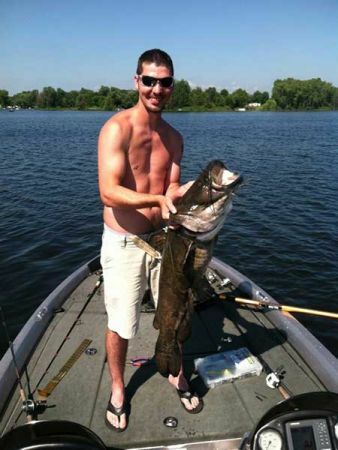 Mike Oldenburg (Burr Oak, Mich.) with catfish he caught on a drop-shot rig and 8-pound line at Portage Lake. 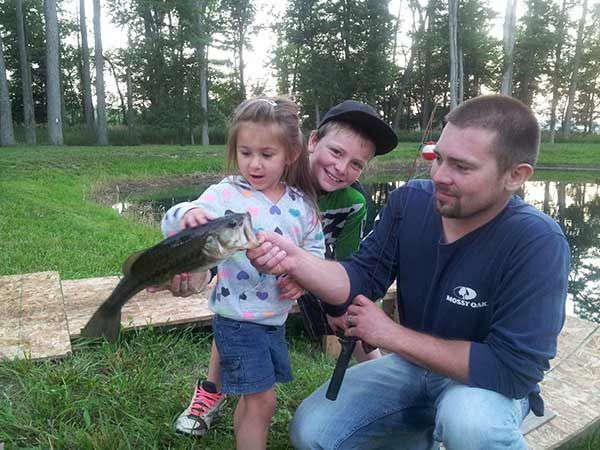 Three-year-old Payge Stroble (Homer, Mich.) landed this nice bass from a pond with the help of her friend Carter Hill (center). Payge’s dad Corey holds the fish. 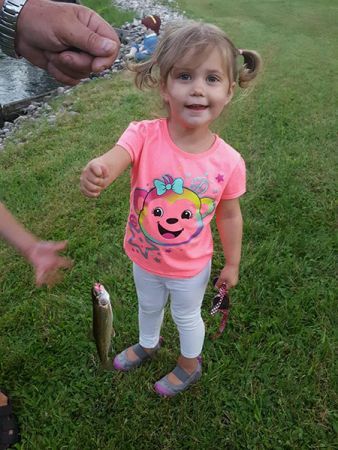 The fish was released. 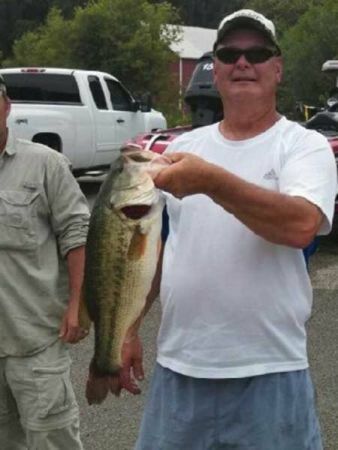 Faron Lubbers caught this 5.20 lb. 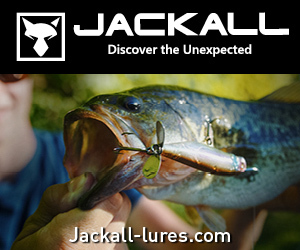 bass from Juno on a Zoom Fluke in early July. 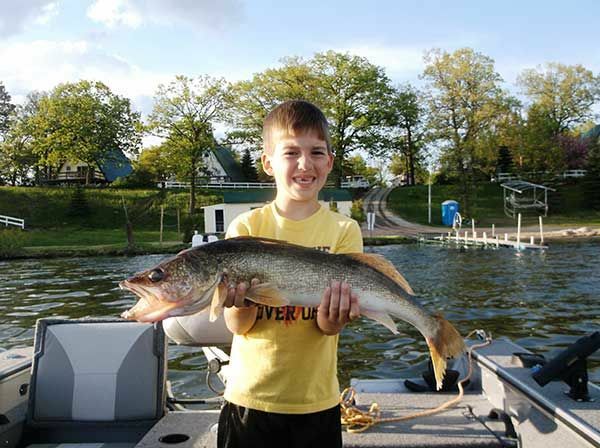 Seven-year-old Reece Frederick shows off a 7 pound, 10 ounce walleye he caught while fishing with his grandfather, Jim Lopez, in Minnesota. 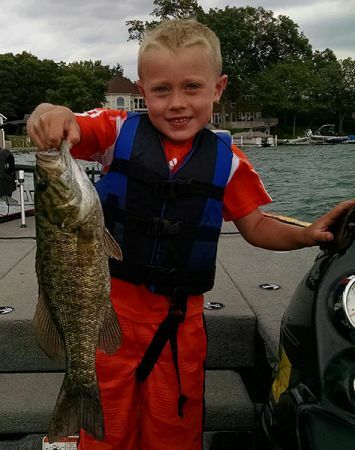 Jeremy Bunnell of Mishawaka displays a 5-15 smallie caught on Little Traverse Bay on a tube in 15 feet of water. 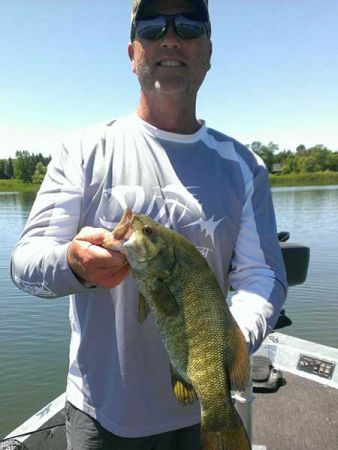 Chris Crumley shows off a 5-3 smallie he caught during a tournament on the St. Joseph River at Benton Harbor. Royce Cage of Kokomo, In. 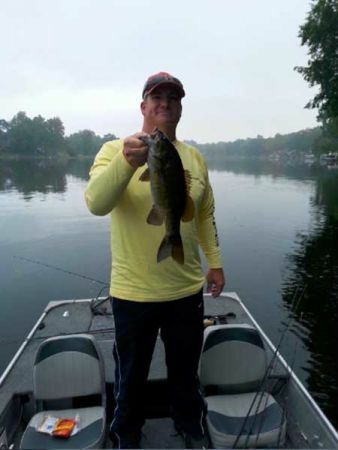 shows off nice southern Michigan bass caught on a football jig and a Money Mouth Fish Bones stick worm. 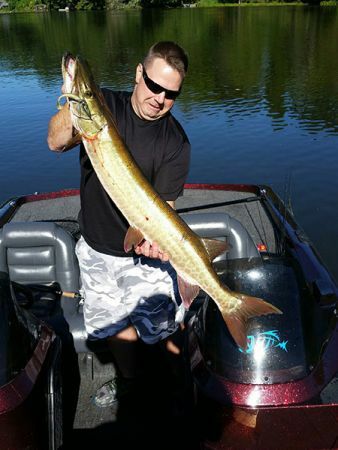 Randy Ramsey with 50 inch muskie caught from St. Clair. Ronda Ramsey of Battle Creek with 5 1/2 pound smallie from St. Clair. Derek King of Battle Creek with 5 foot sturgeon caught from St. Clair. 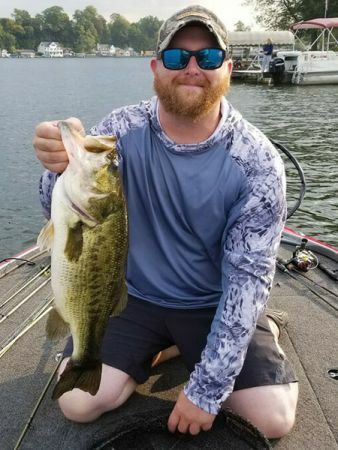 This bruiser topped a limit of bass weighing close to 15 pounds caught and released this week by South Bend’s Jeremy Bunnell while fishing a Luck “E” strike RC STX jerkbait. 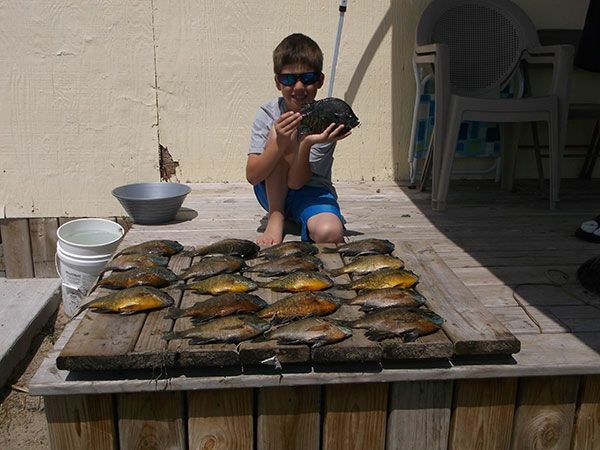 He was fishing shallow weeds of a southern Michigan lake. 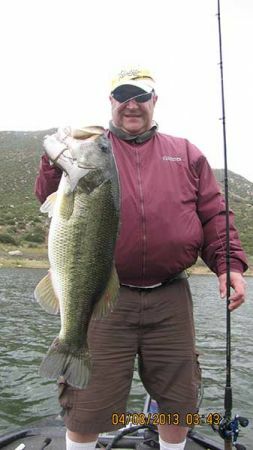 Hoosier Joe DeNardo caught this 9.5 lunker on a swimbait while fishing with a guide on Lake El Capitan in California. 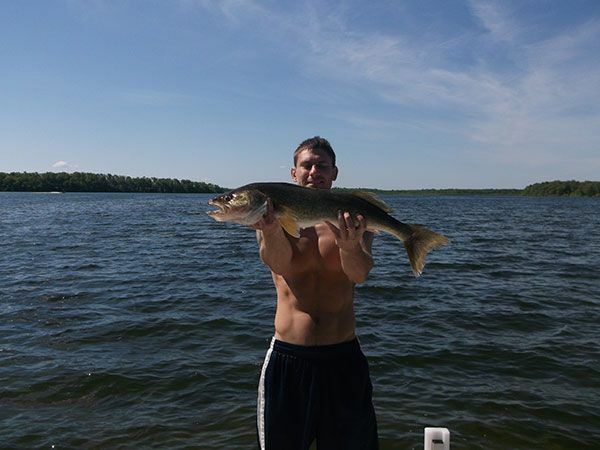 Trent Moskwinski of South Bend caught this 50 1/2-inch muskie this spring from Lake Webster on a swimbait. 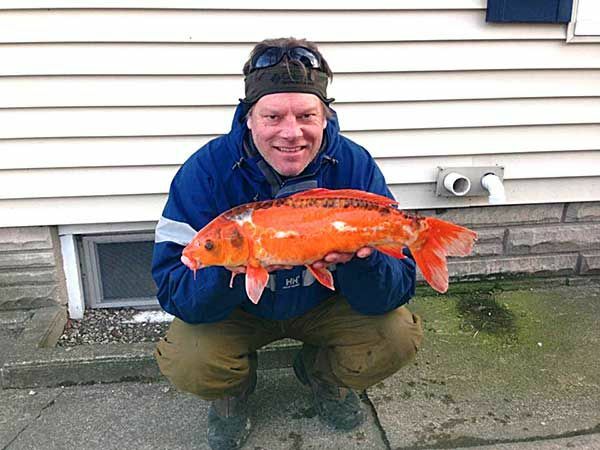 Hans Scott with a 5 pound Koi caught out of the St. Joseph River. 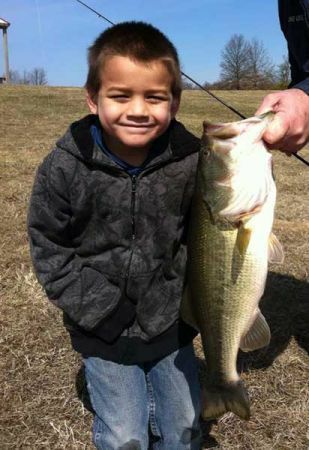 5 year old Landon Allen with a 4 1/2 pounder caught from a Michiana pond on a Rat L Trap with his new Christmas fishin’ pole. 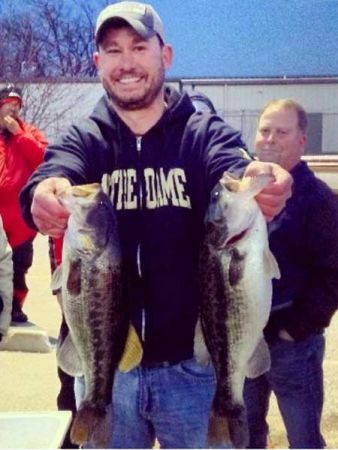 Rob Walker of South Bend caught this 6 pounder in late March from St. Joseph County on an orange/black Rapala. Casey Ickes (Walkerton, Ind. 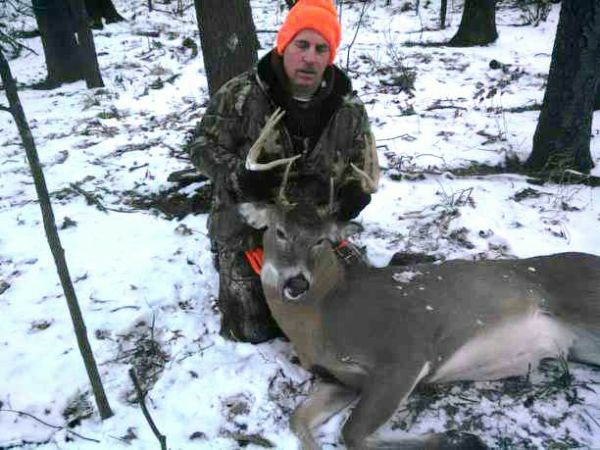 )shows 8 pointer he killed with a crossbow in St. Joe County Jan. 4 after setting for 5 1/2 hours in 17 degree temperatures. The deer had a 20” rack. 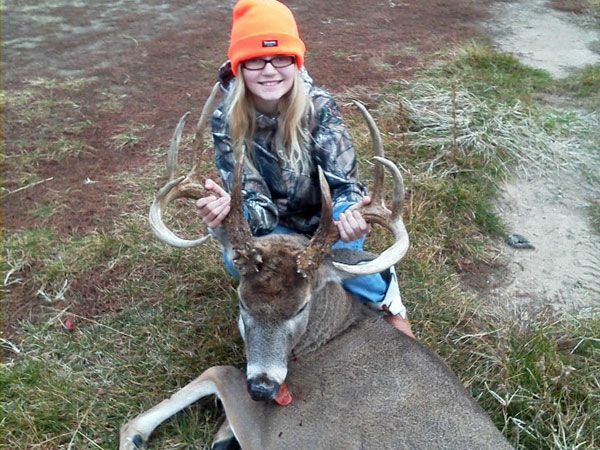 Caylee Gee, age 11, shot this 13 pointer with a 44 Rifle from 85 yards away on Dec. 1 while hunting with her dad in Marshall County. 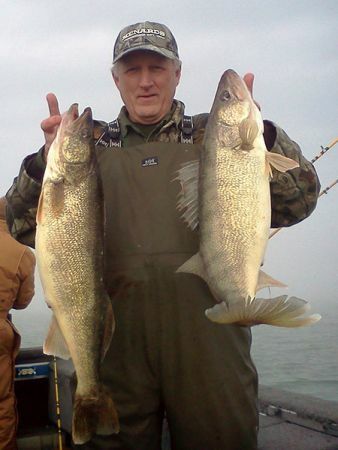 Indiana biologist Neil Ledet got in some winter trolling action on Lake Erie with some buddies recently. 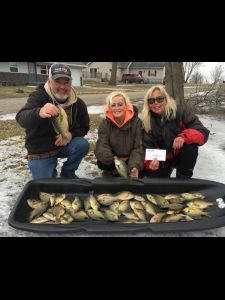 They all caught a limit of fish between 4 and 9 pounds. 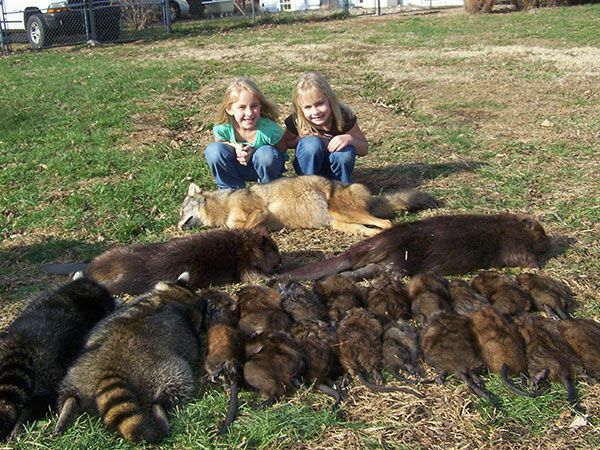 Annalie and Abella Powell pose with their dad’s (Chuck) recent catch (a coyote, two beaver, a pair of raccoons and several muskrats) taken from St. Joseph County while trapping over Thanksgiving. 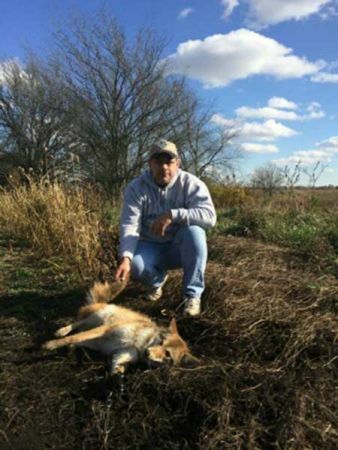 Powell, one of Michiana’s leading trapping experts, says it’s been a good fall for trapping. 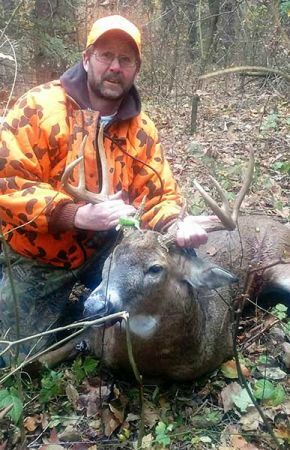 Craig DeVliegher of South Bend shot this monster 14-point, non-typical buck on private land near Lakeville with a shotgun. 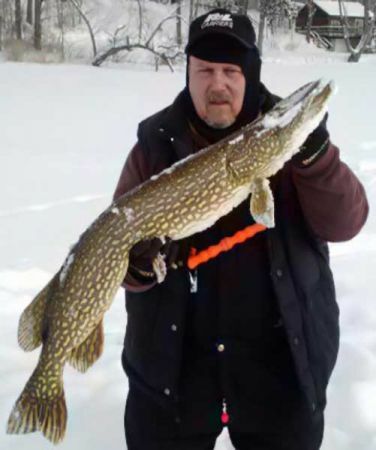 Robert Aloi of Koontz Lake, Ind. 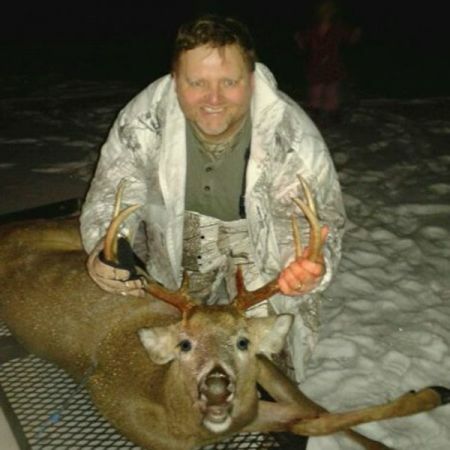 shot this 11-point, 4 1/2-year-old trophy with a shotgun in Starke County. 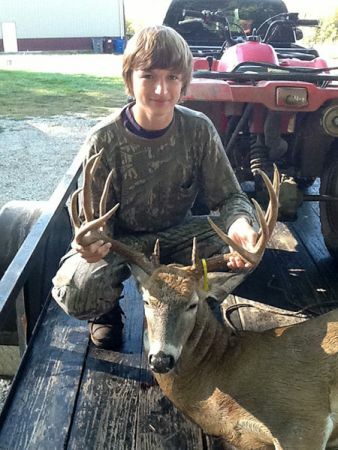 Joey Howe, age 14, shot this 13 pointer while hunting with his dad in Marshall County during the Indiana Youth Season. 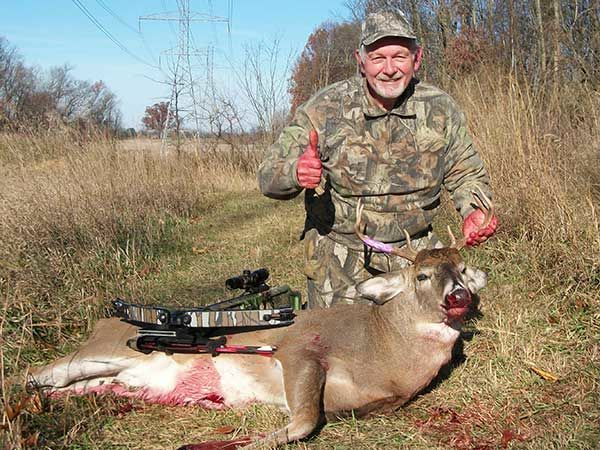 He shot it with a 20 gauge shotgun and it was his first buck ever. 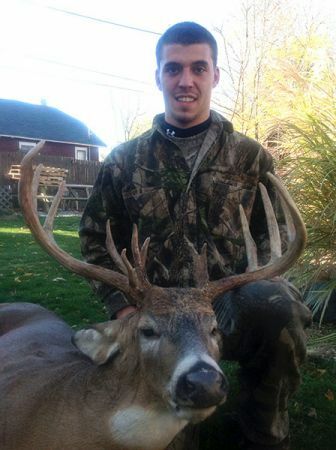 Robin Cox of Granger with 9 point, 2 1/2 year old buck killed in the Upper Peninsula. Rick Hess of Middlebury, Ind. 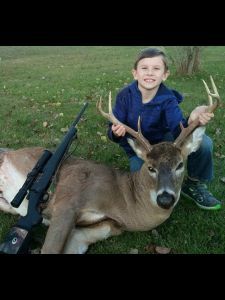 with 8-point, 2 1/2 year-old buck taken from near his home. 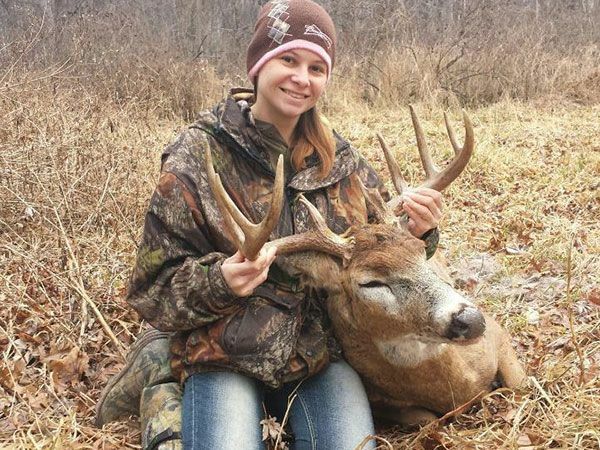 John Glenn High School sophomore Sydney Carson killed this 200-pound, 10-pointer with a muzzleloader. 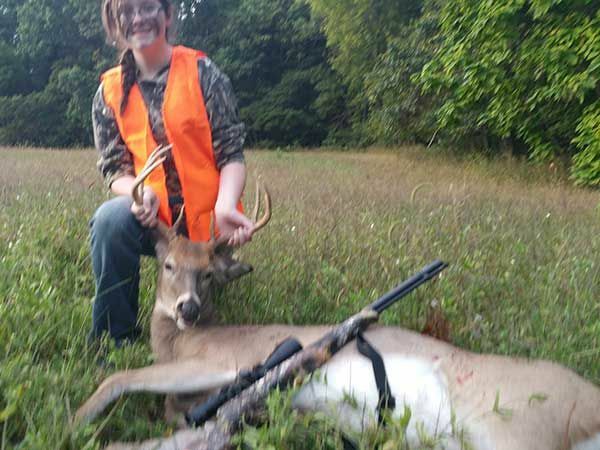 It was her first deer and green scored at 154 1/8 net. 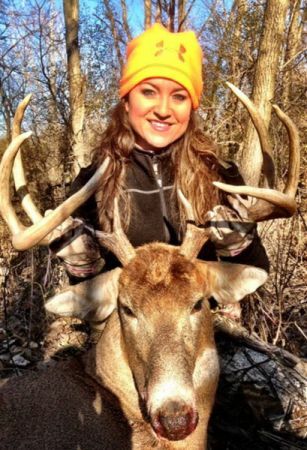 Cristy Kaniewski of South Bend shot this 211-pound 8-point with a 20-gauge in northwestern St. Joseph County. 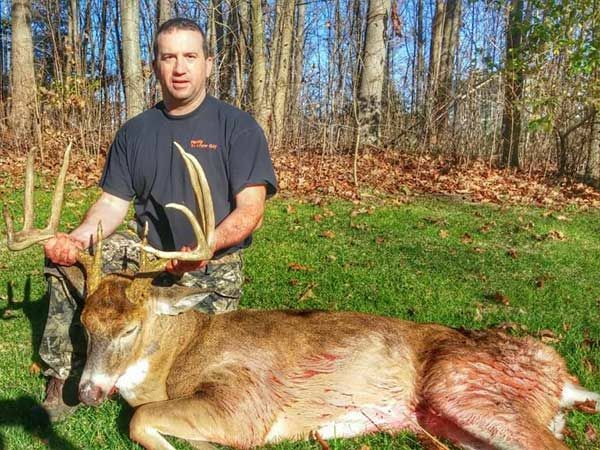 Leon Bogucki’s 12-pointer shot in LaPorte County. The deer was aged at 5 1/2 years. 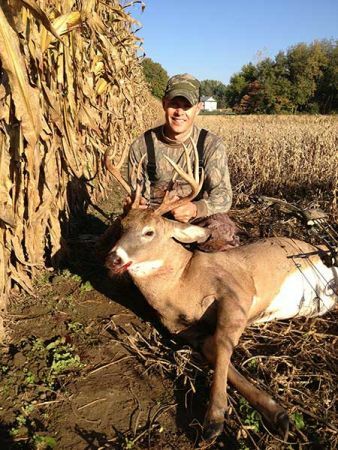 Jason Castello shot this 200-pound, 14 pointer with a bow in Indiana’s St. Joseph County. 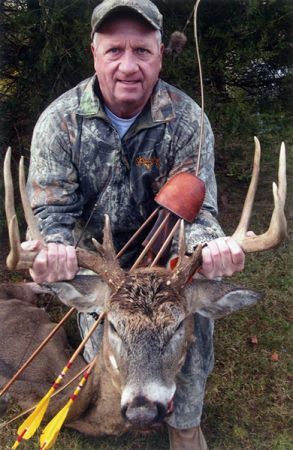 Pat Dowling of Niles shot this 10 pointer with a bow. Larry Fielstra of Nappanee, Ind. 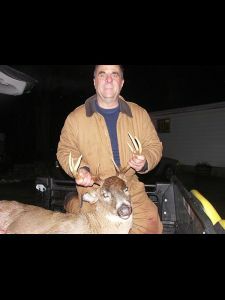 shot this nice 8 point buck in St. Joseph County last week with a crossbow. 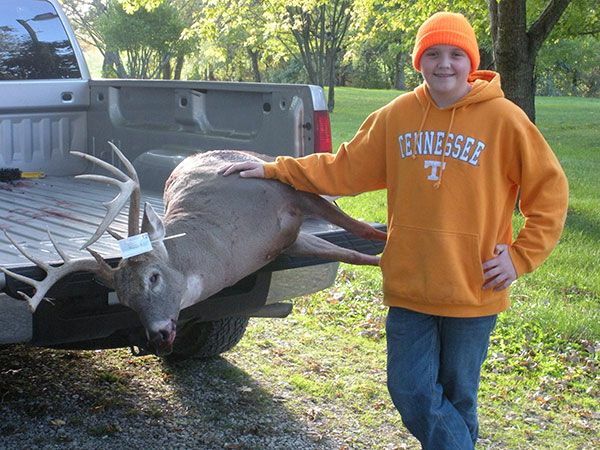 The three-year-old deer dressed out at 180 pounds. Miles Hanley of Kalamazoo shows off a 9 pound, 5 ounce male steelhead he caught below the Allegan dam on the Kalamazoo River during the 25th annual Ham-Kazoo Classic. He won big fish and first place in the contest. 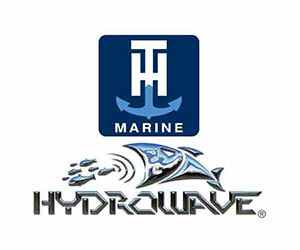 Hanley says the river is in good shape and loaded with fish. 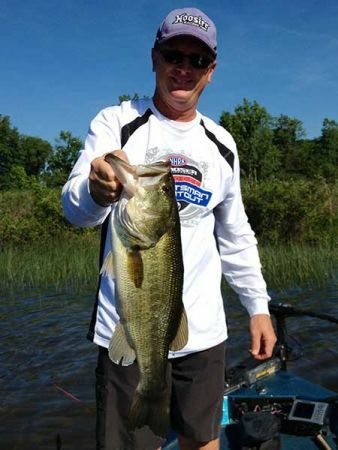 Brian Lambert of Mill Creek, Ind. 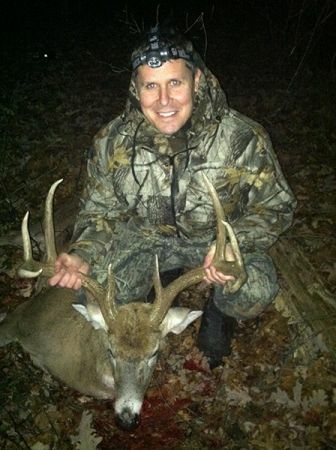 shot this 208-pound, 10-point during the pre-rut on 11-1-2012. 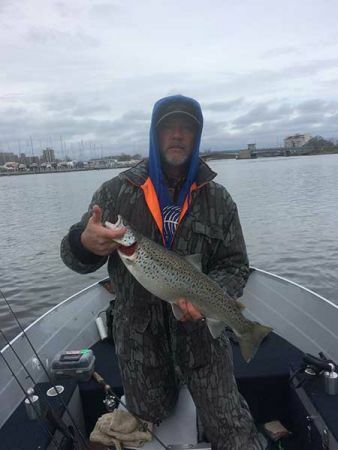 Ledger Parker shows of a pair of 6-pound-plus steelhead he caught on WW spinners while fishing near the Main Street Bridge in Mishawaka. 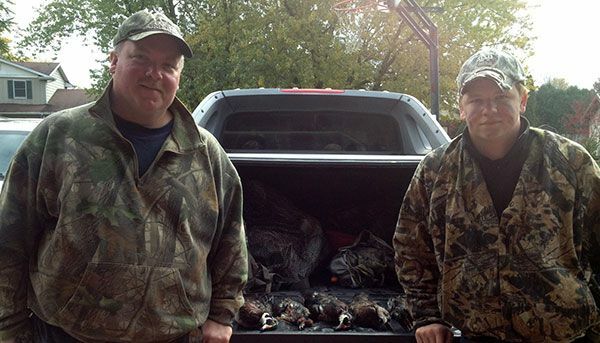 David Kantz and Jonathan Bailey of Goshen shot a mixed bag of ducks on opening day. 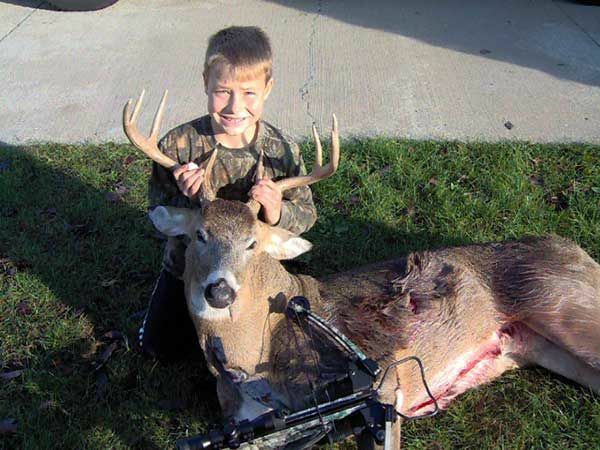 Cyrus Behrend of South Bend bagged this 12-point while hunting with his dad in Illinois on the first day of that state’s youth season. 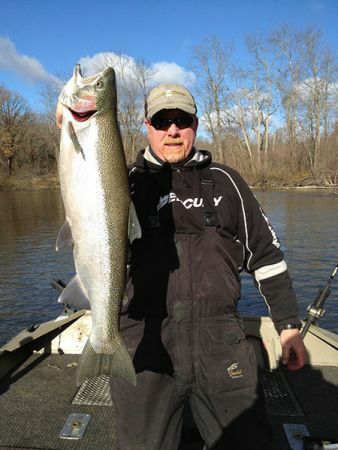 Bill Sheeley caught this 38-inch slamon on the Muskegon River near Hardy/Croton dam on a small egg pattern fly and a 9 weight fly rod. Tom Garries of Granger, Ind. 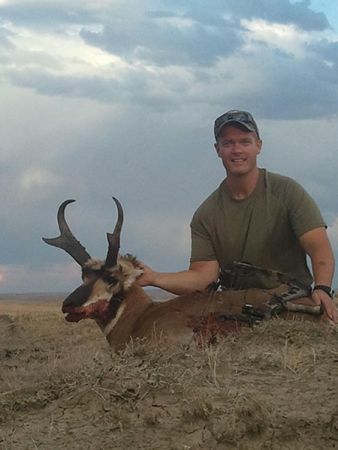 killed this antelope earlier this season while hunting in Douglas, Wyoming.